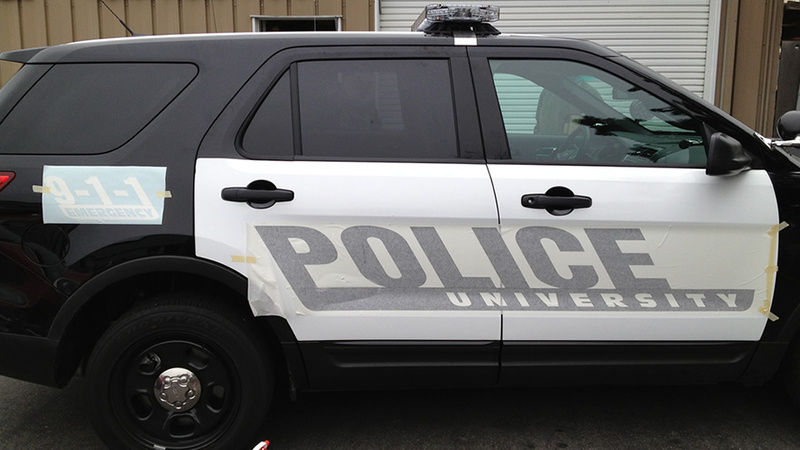 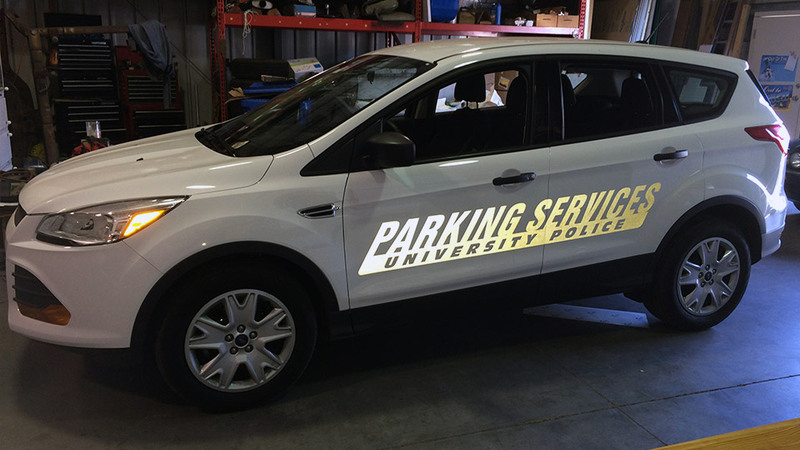 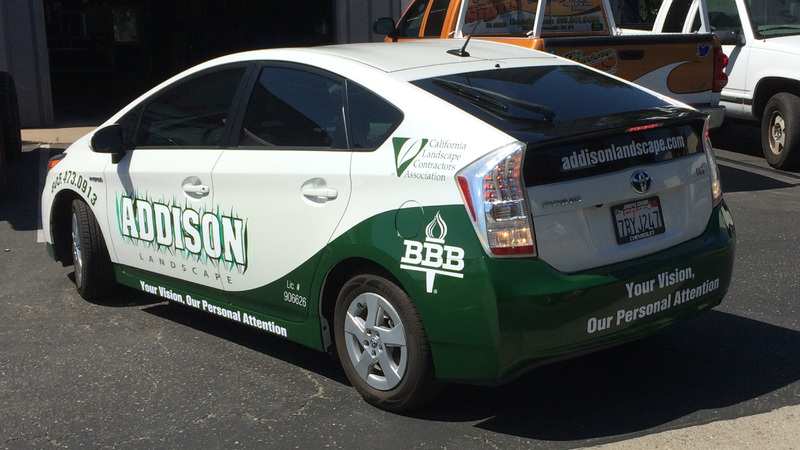 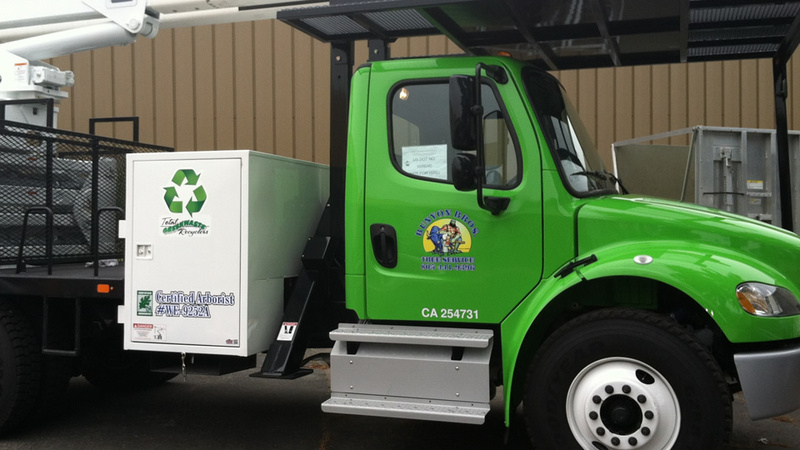 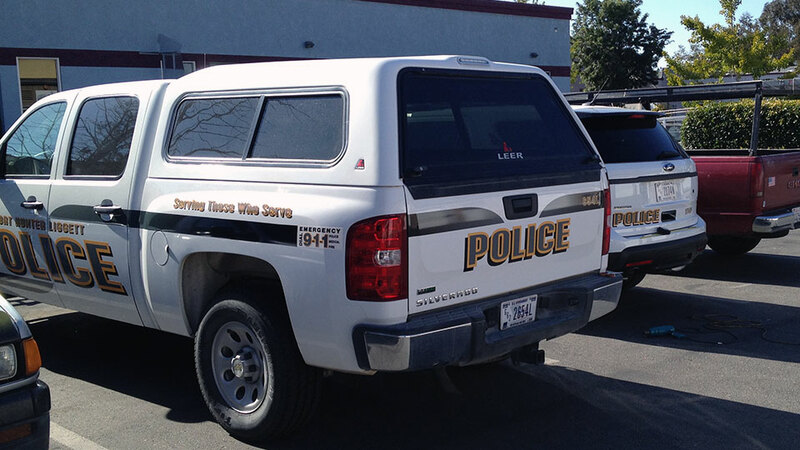 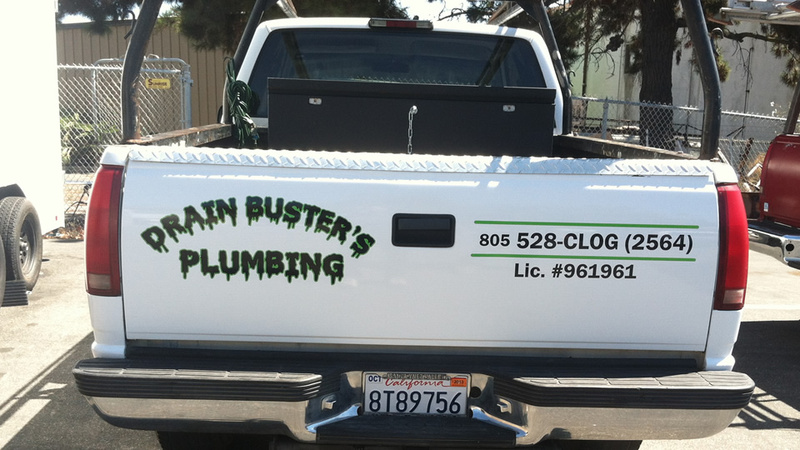 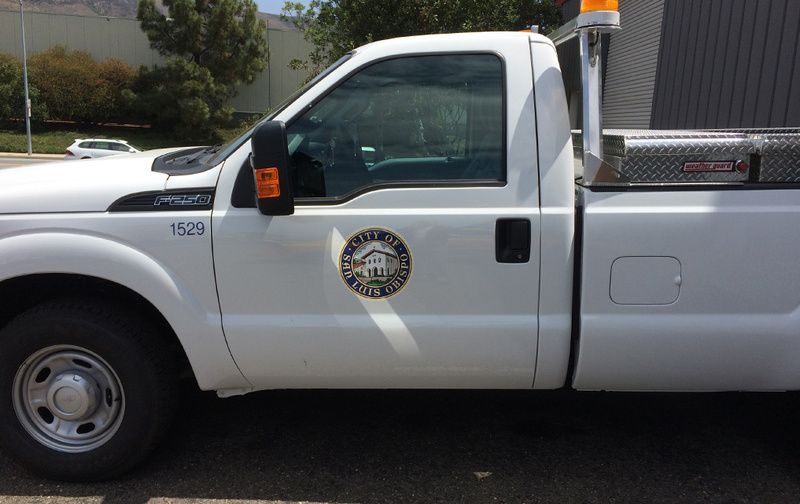 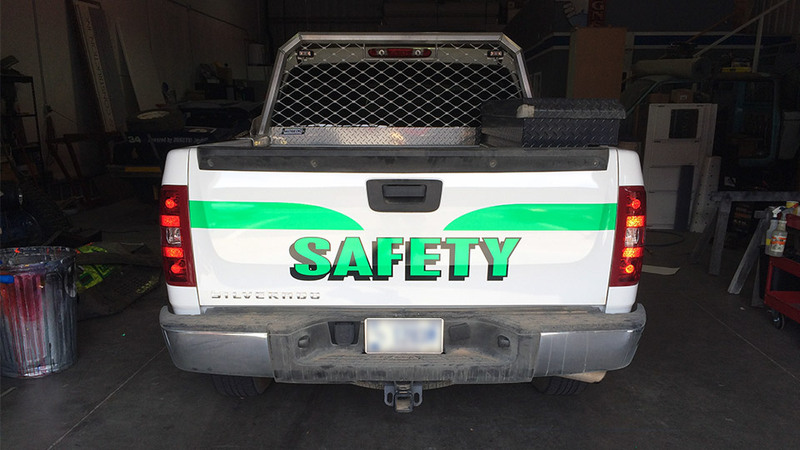 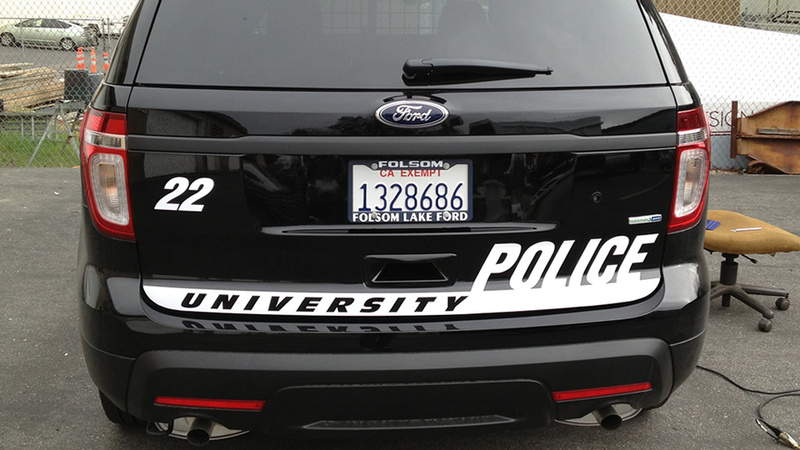 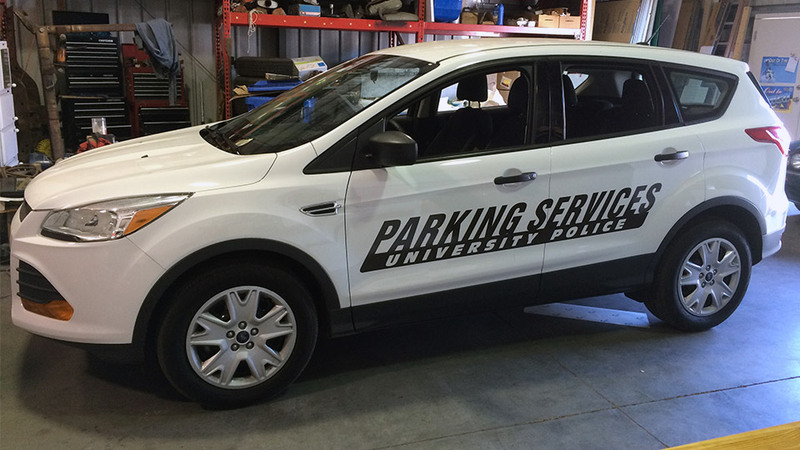 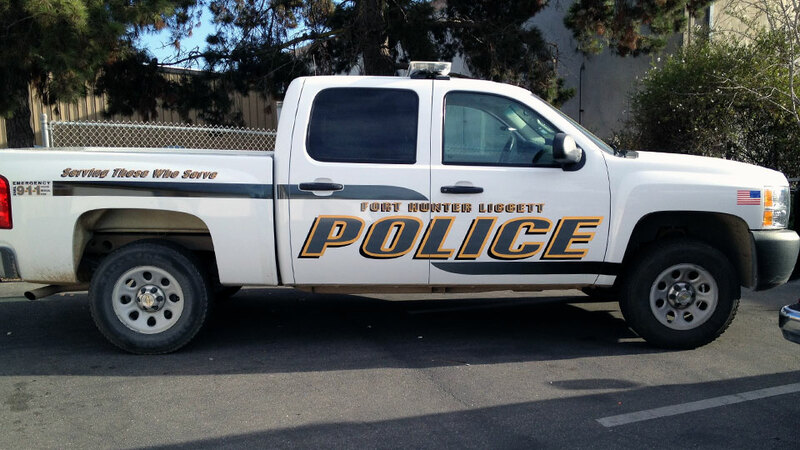 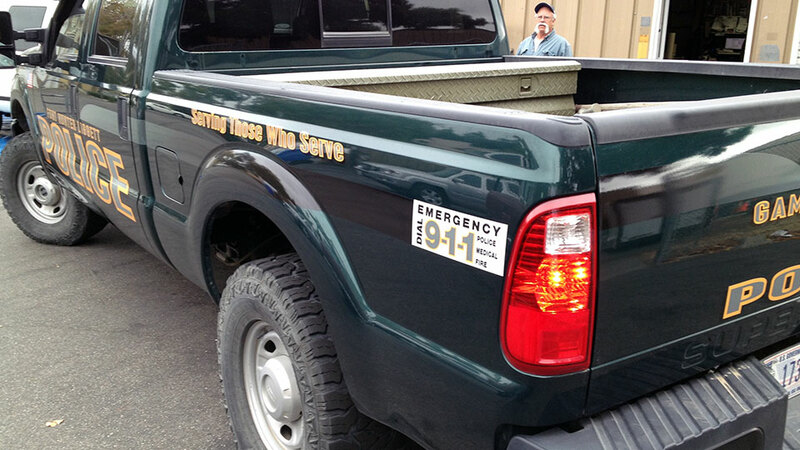 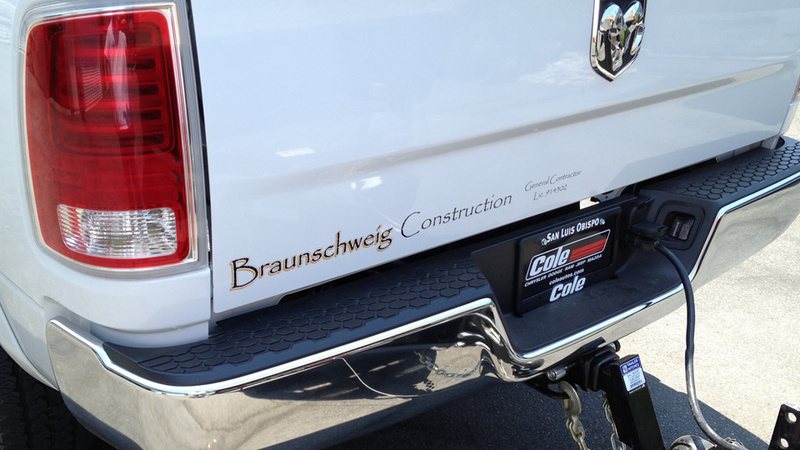 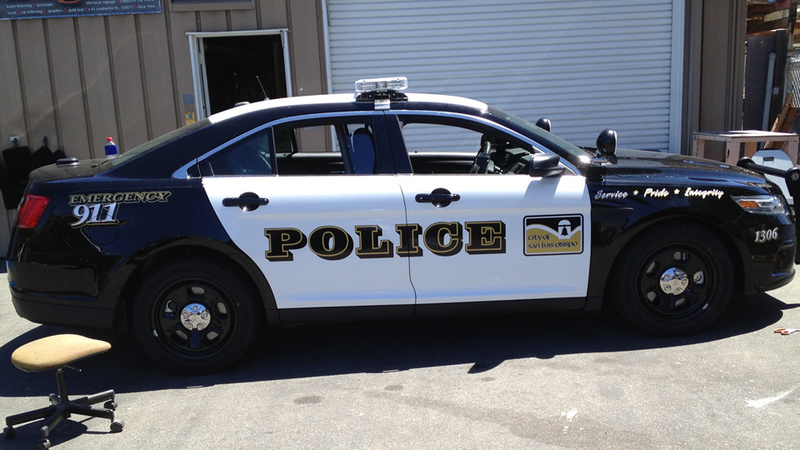 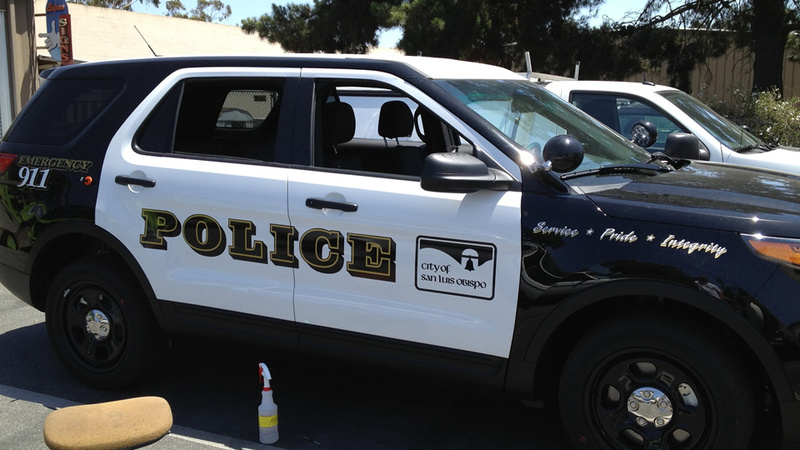 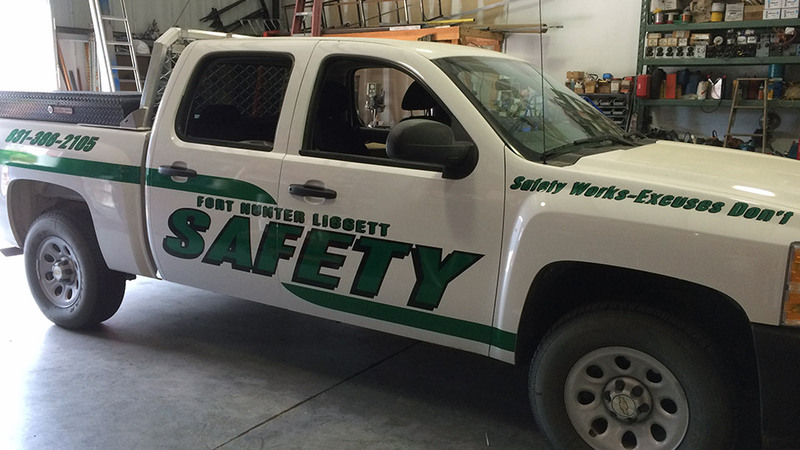 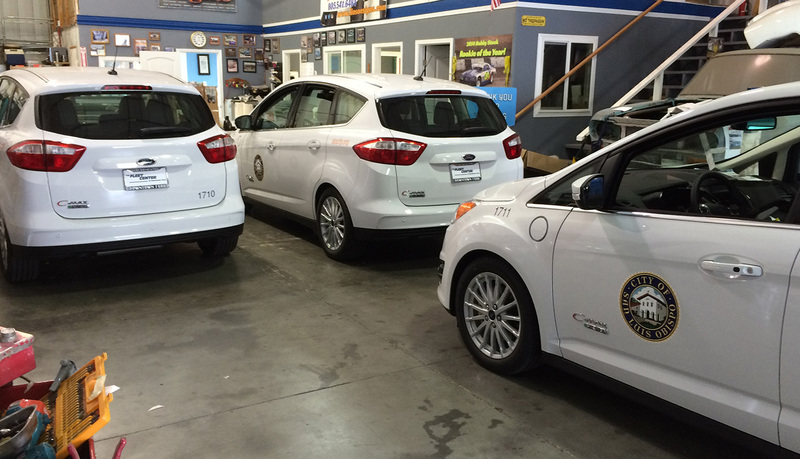 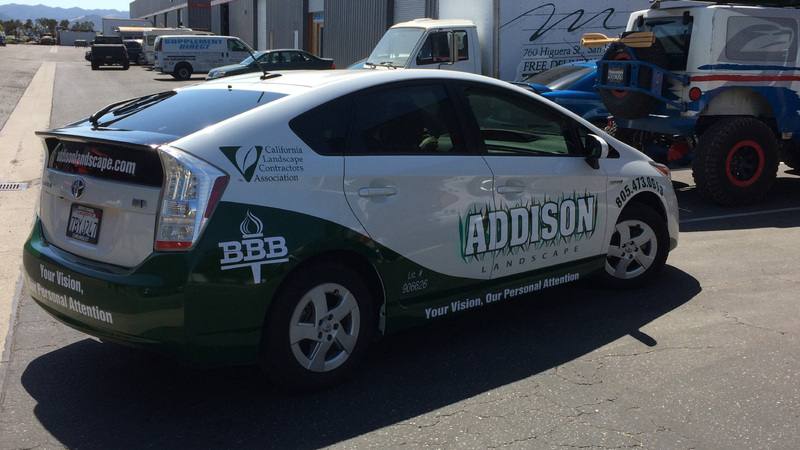 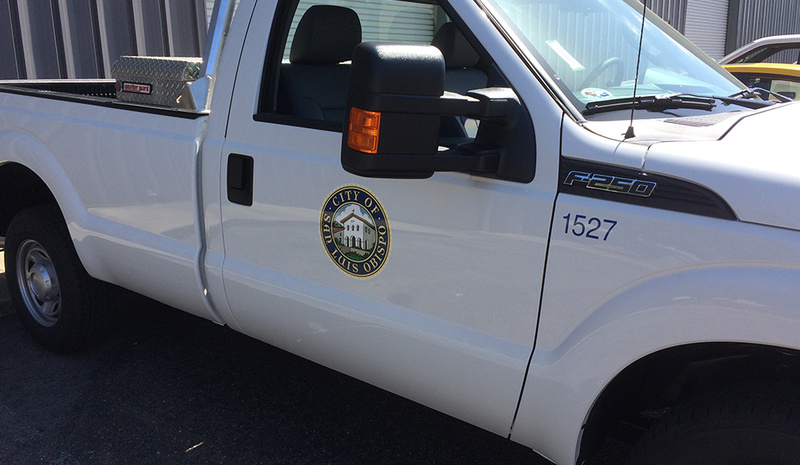 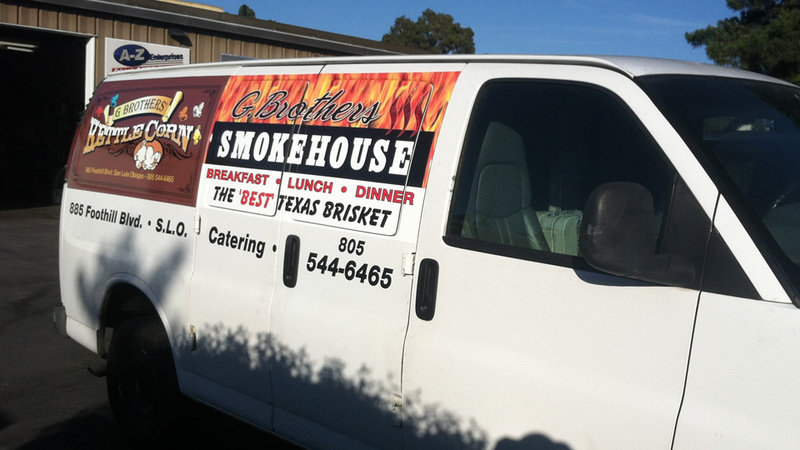 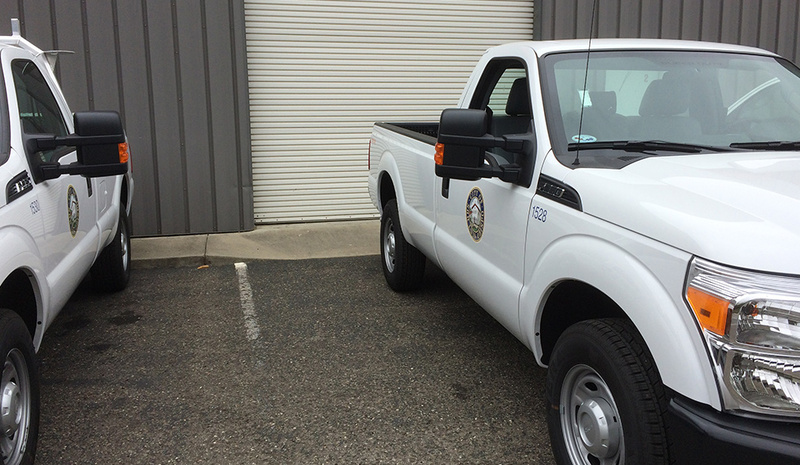 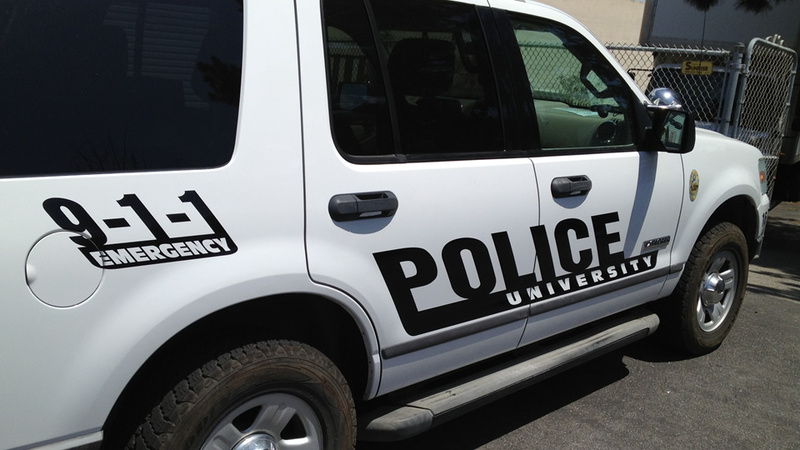 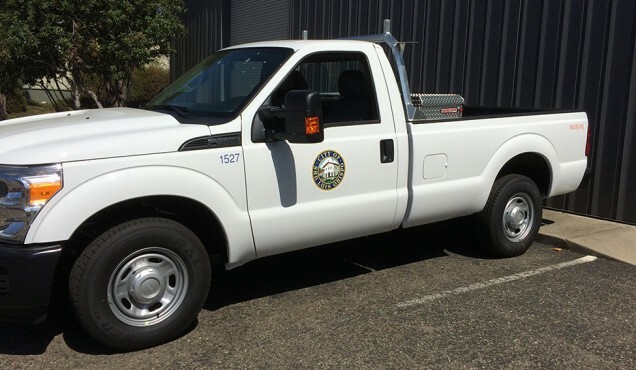 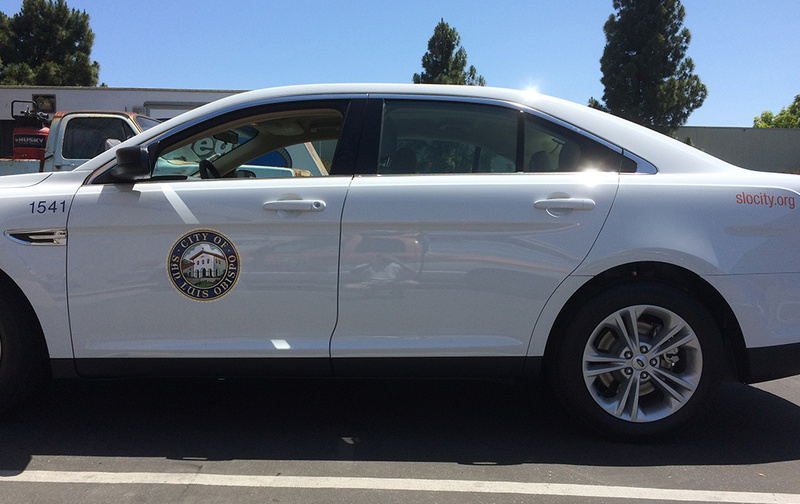 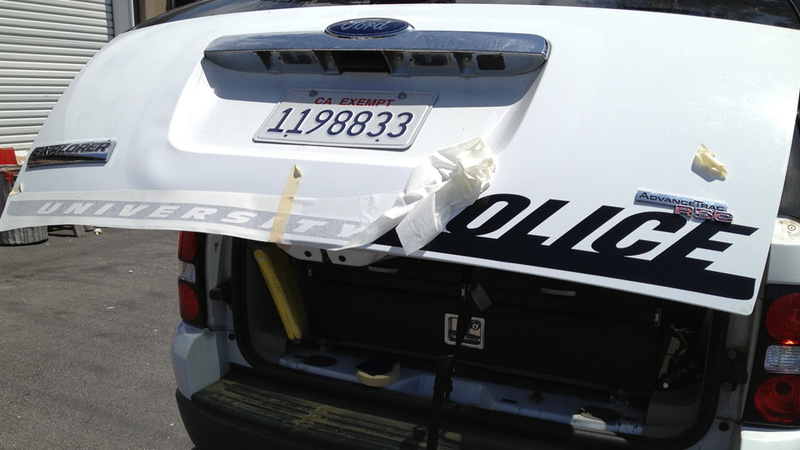 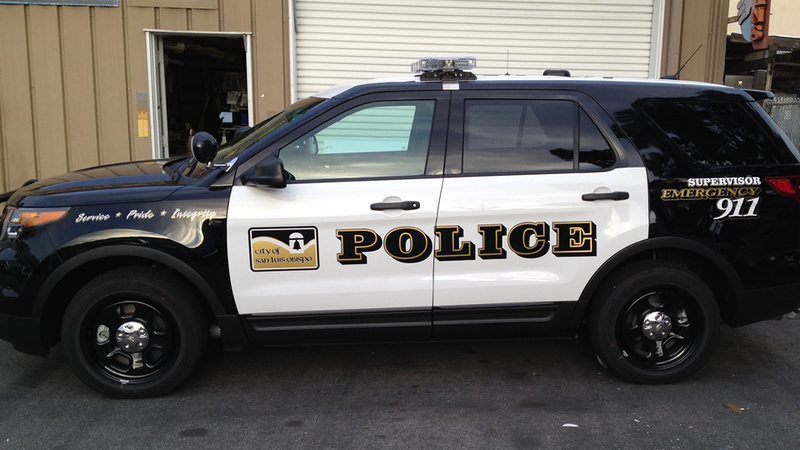 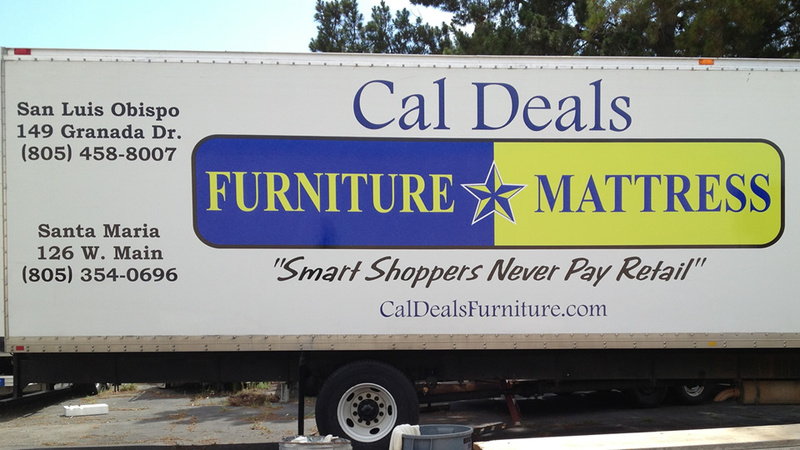 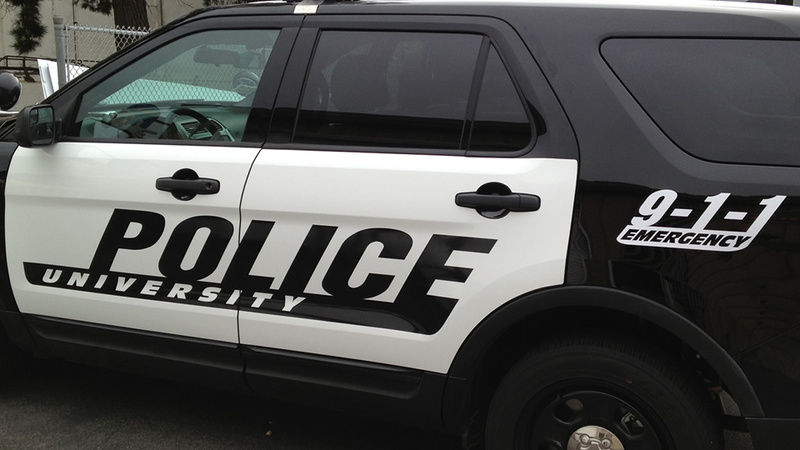 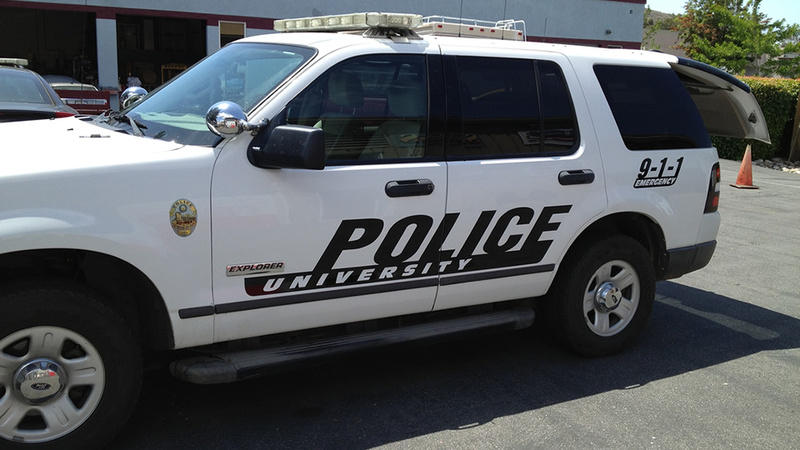 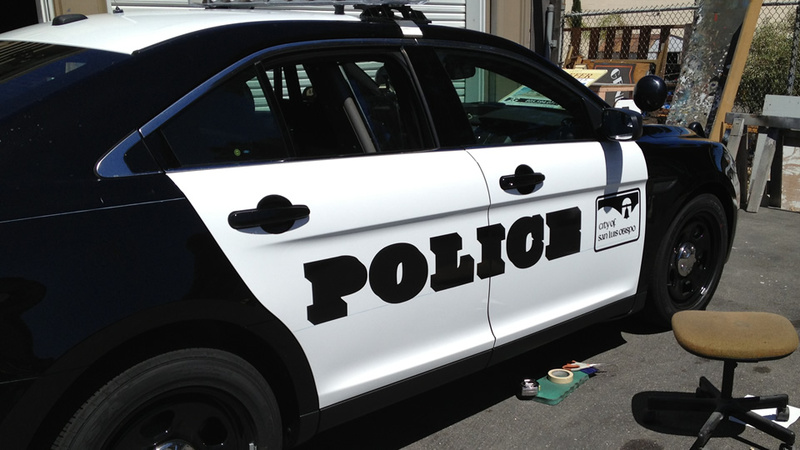 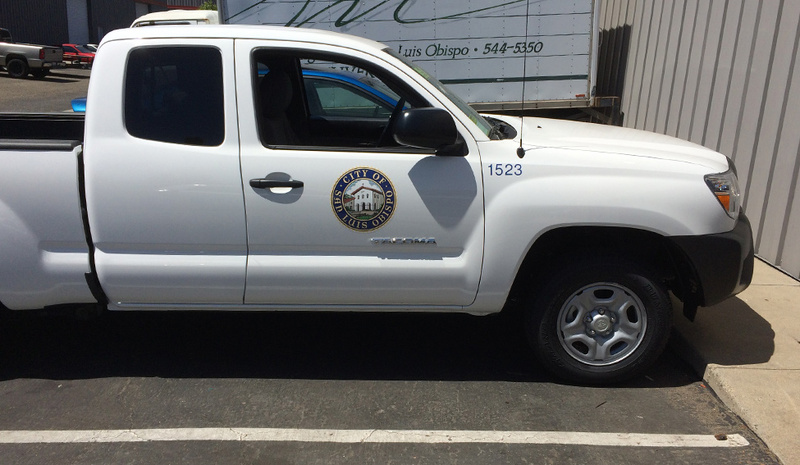 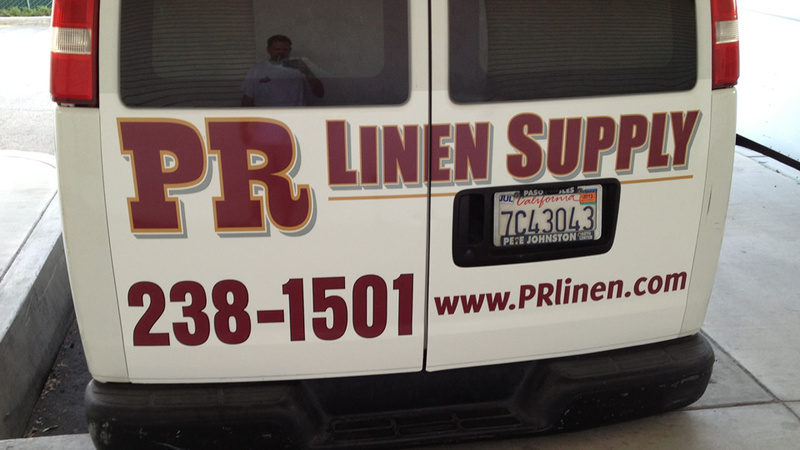 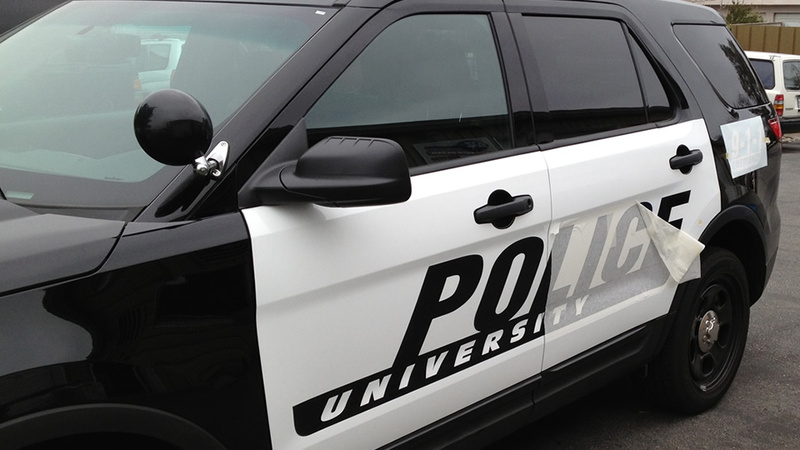 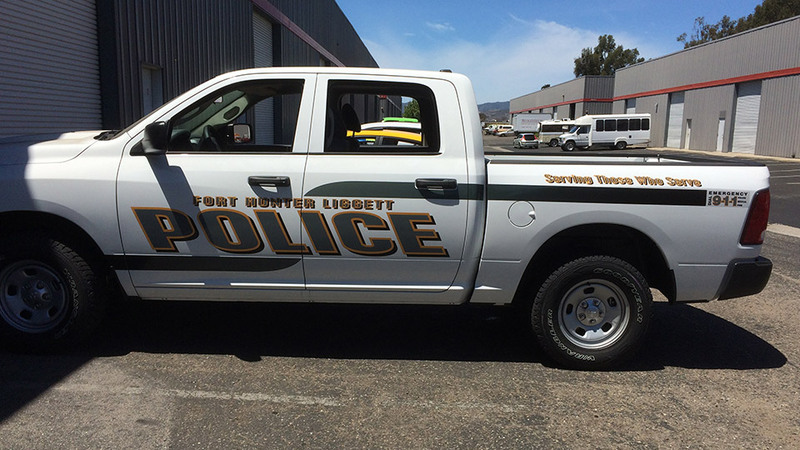 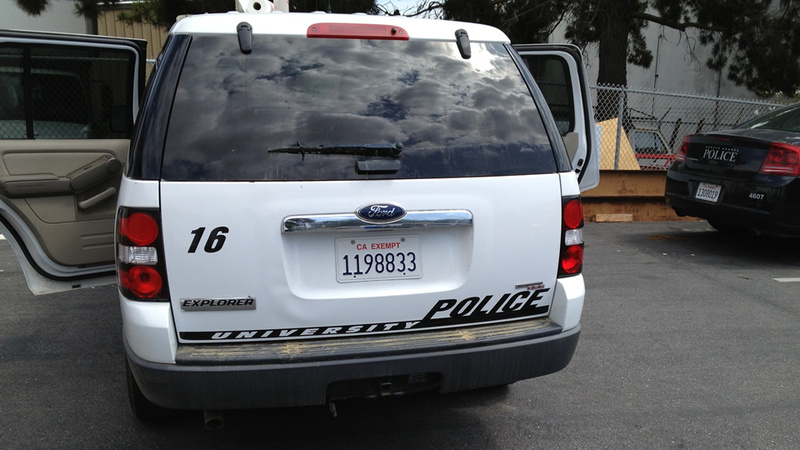 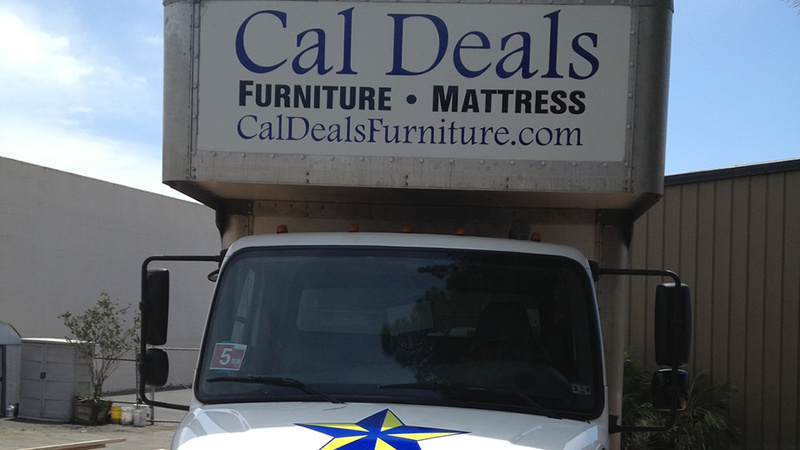 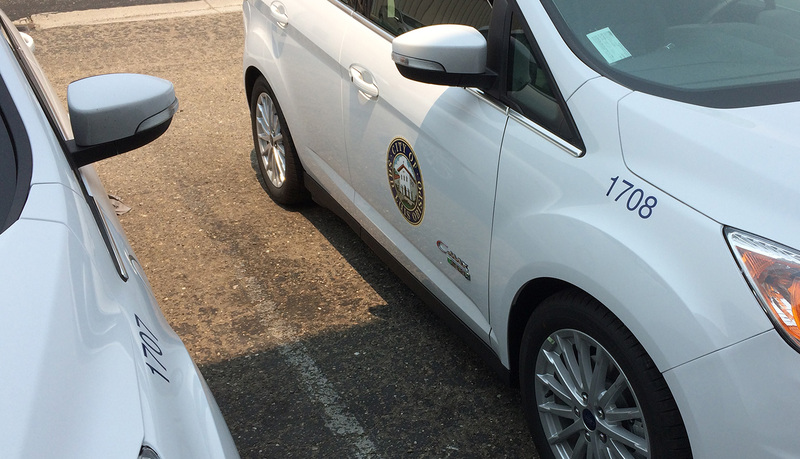 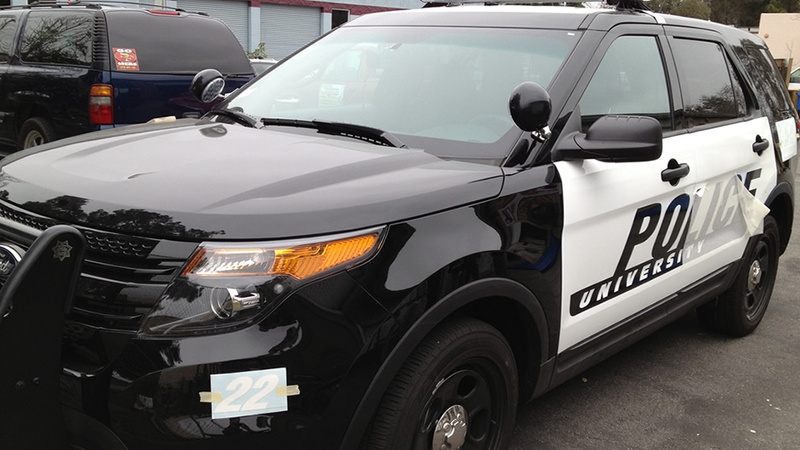 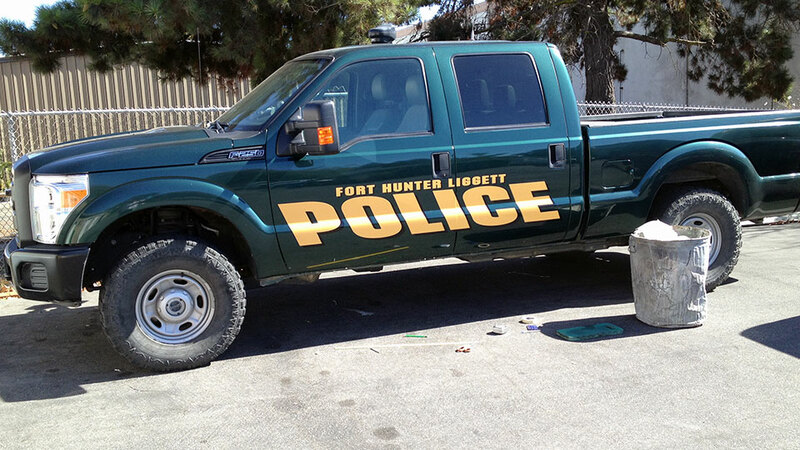 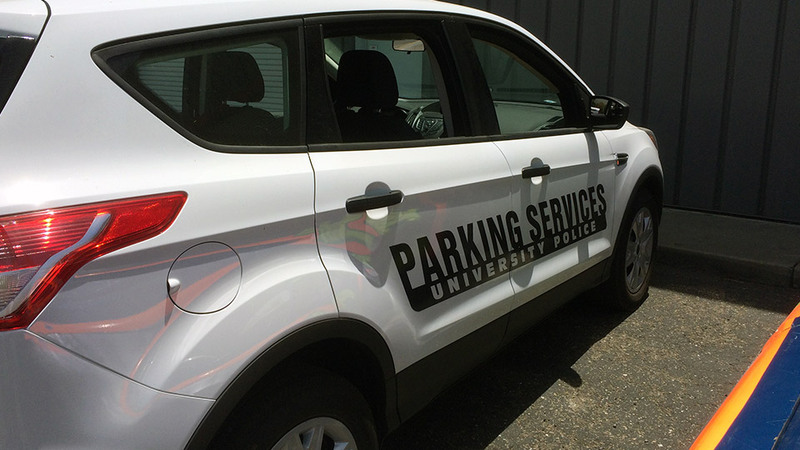 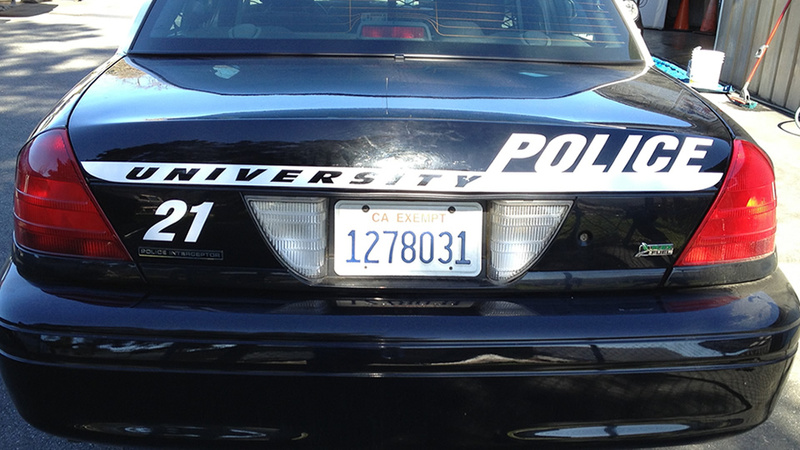 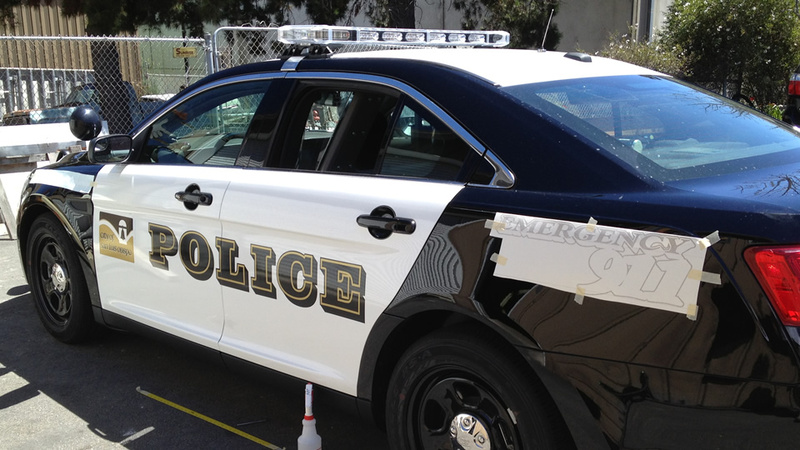 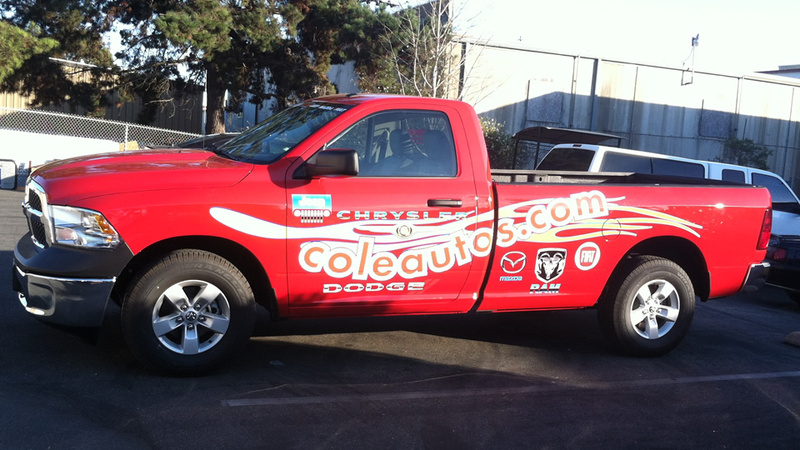 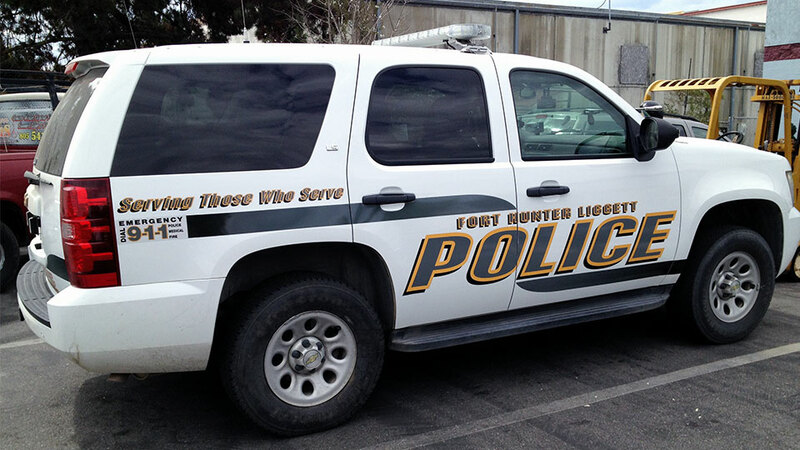 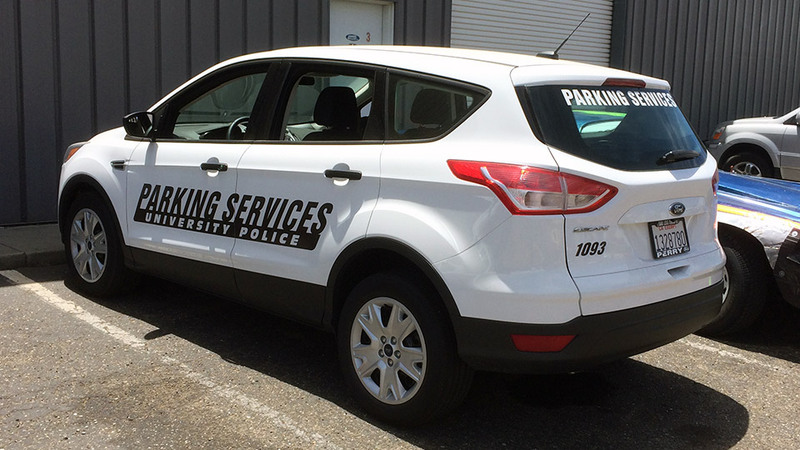 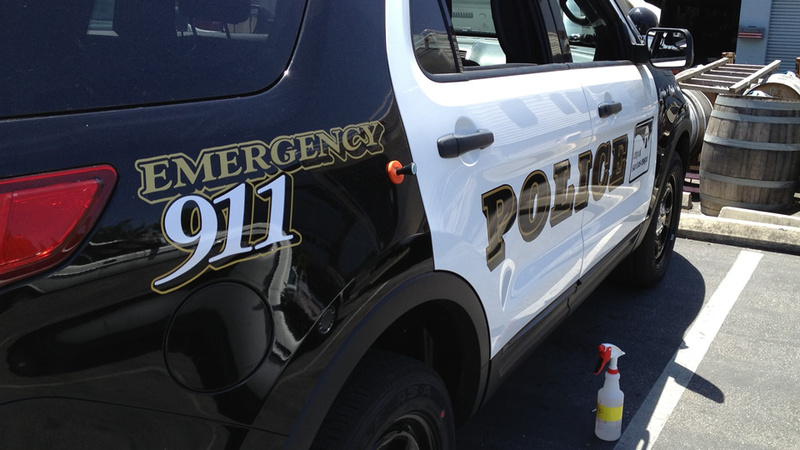 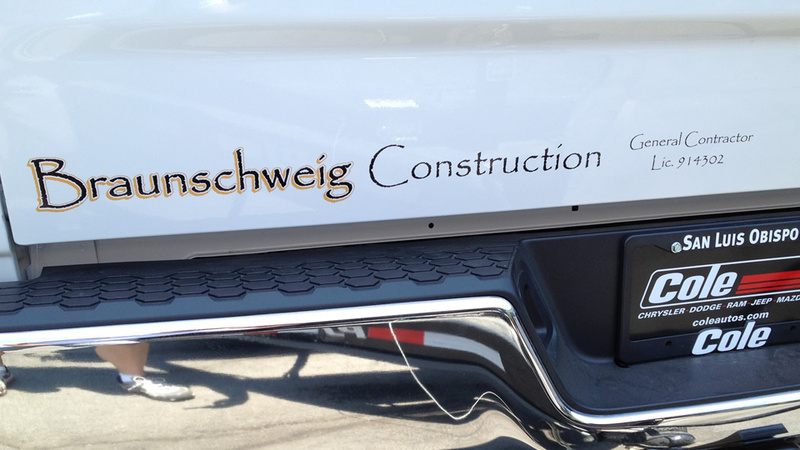 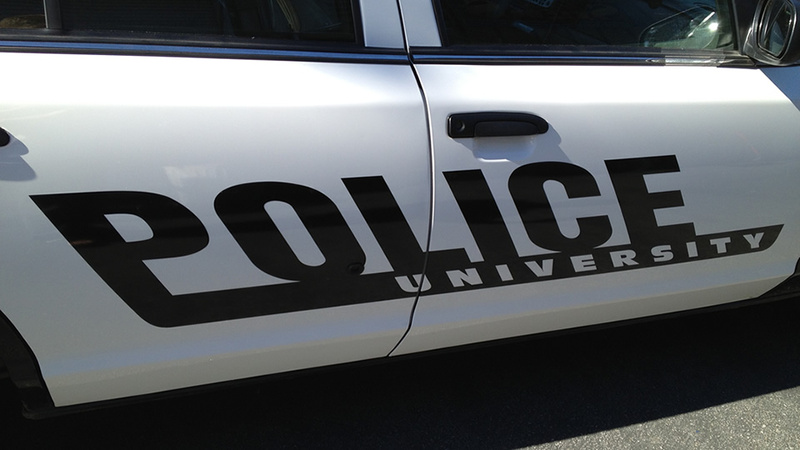 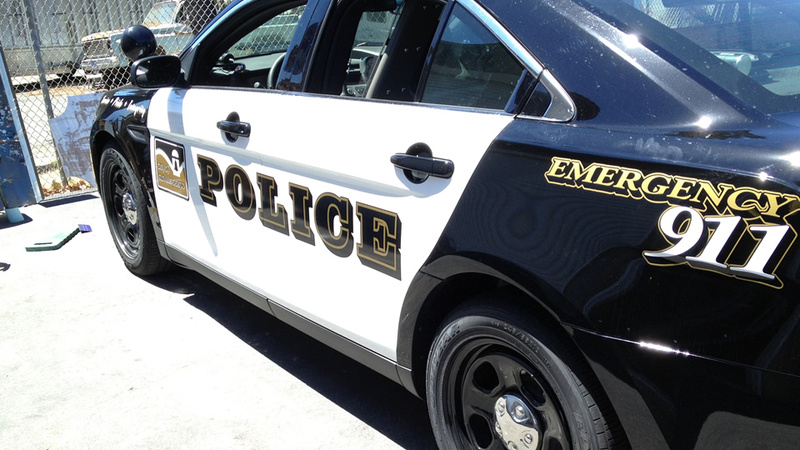 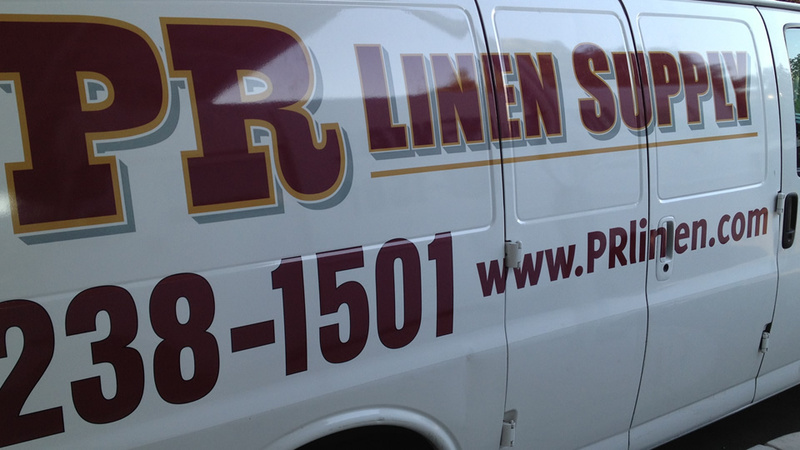 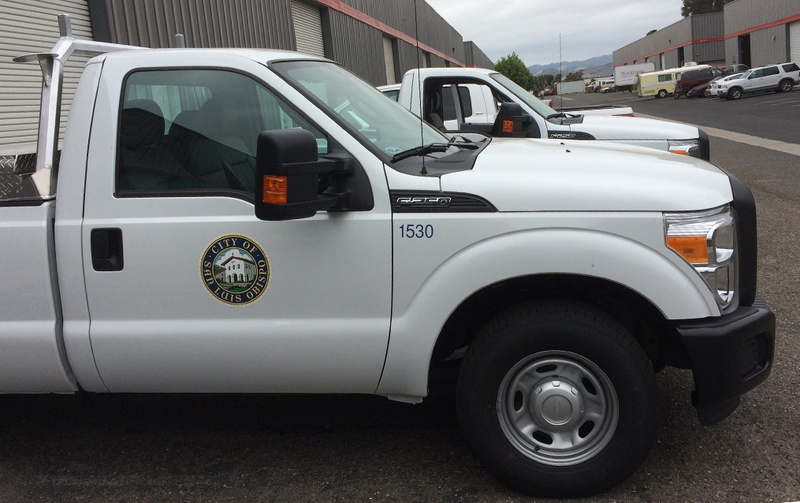 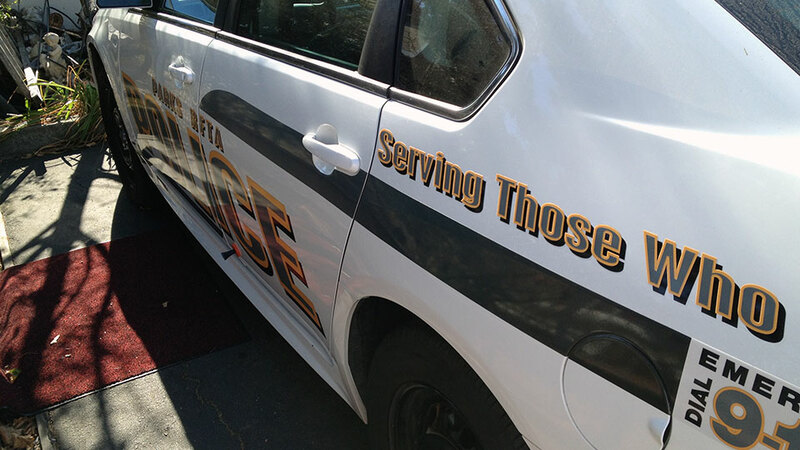 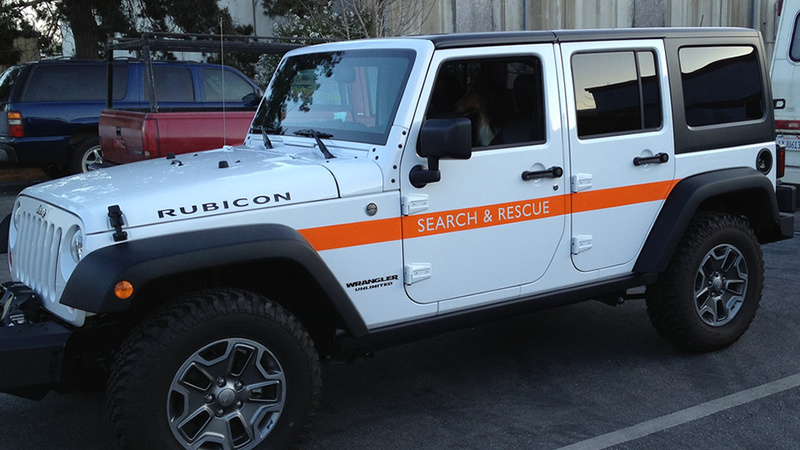 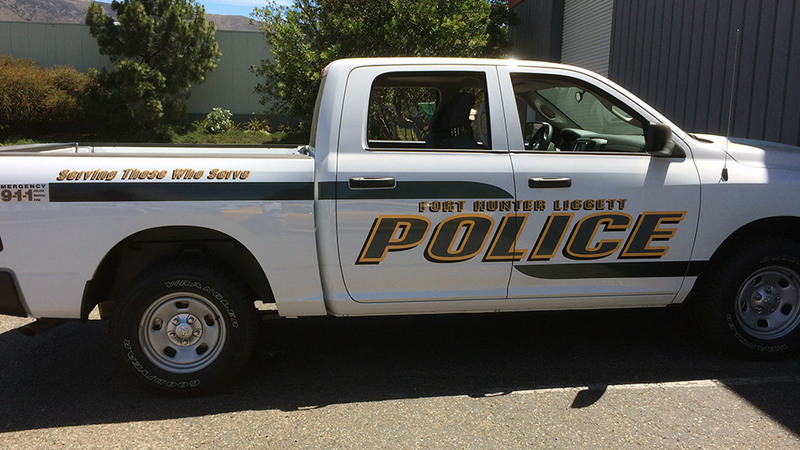 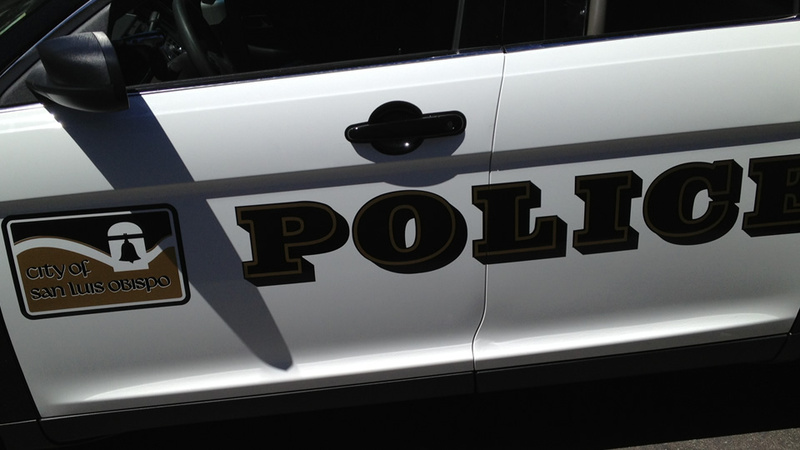 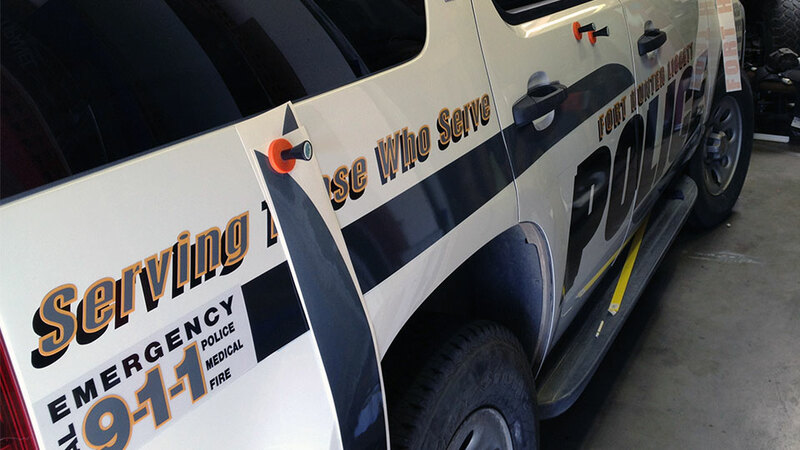 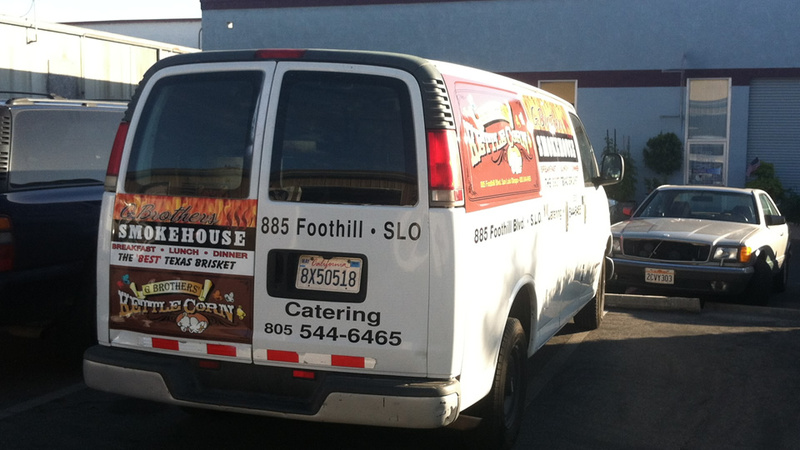 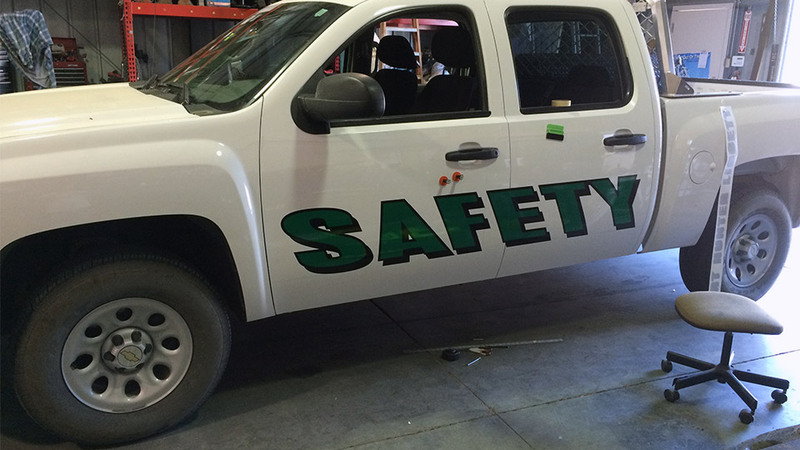 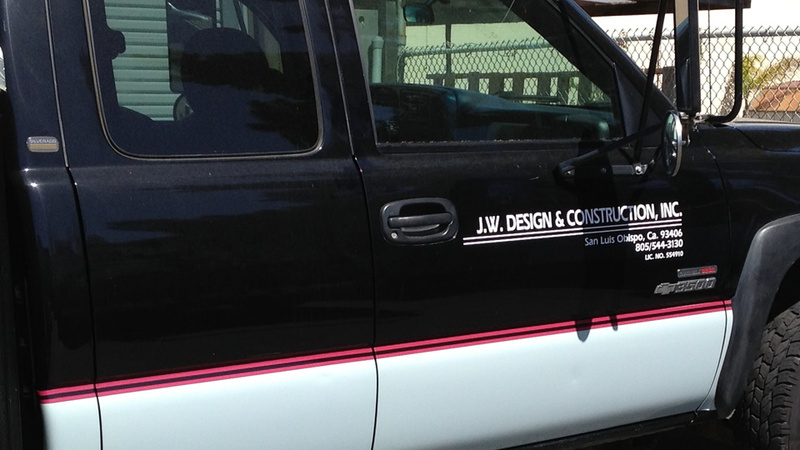 We’ve been applying vehicle lettering to Cal Poly’s University Police Department for many years now. 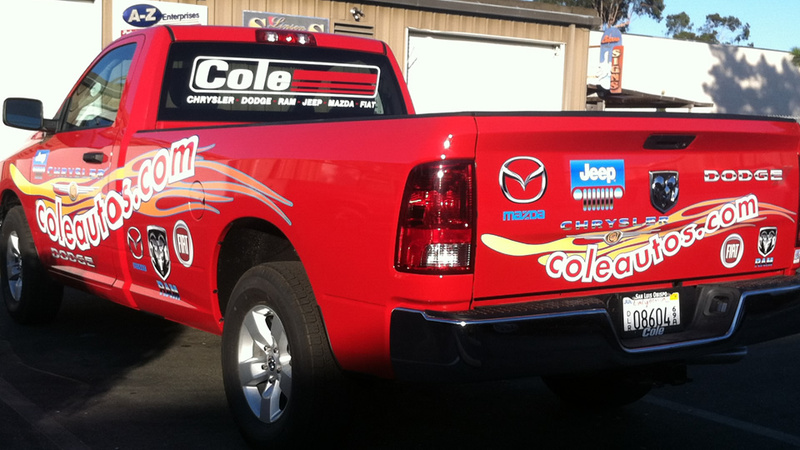 This is a collection of a few different vehicles we did last year. 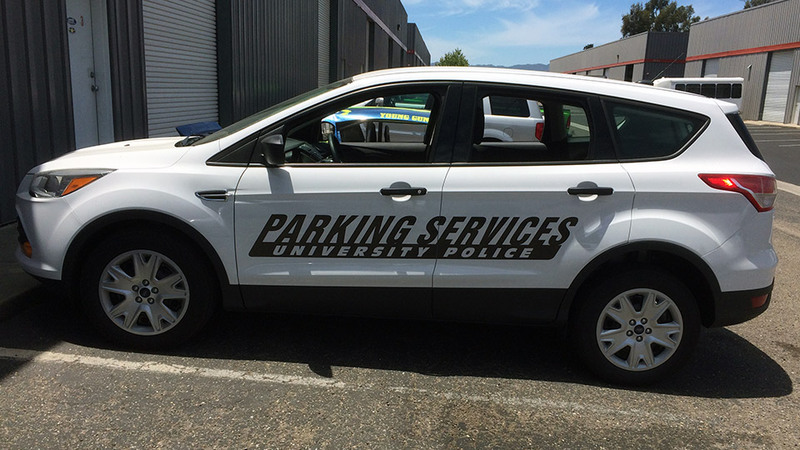 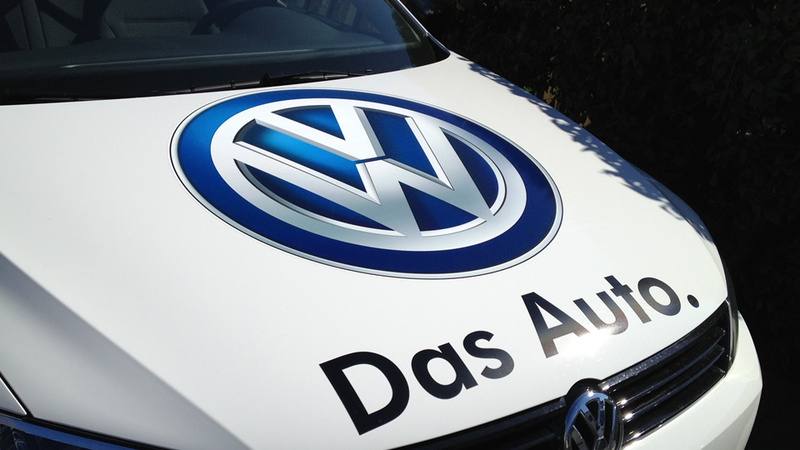 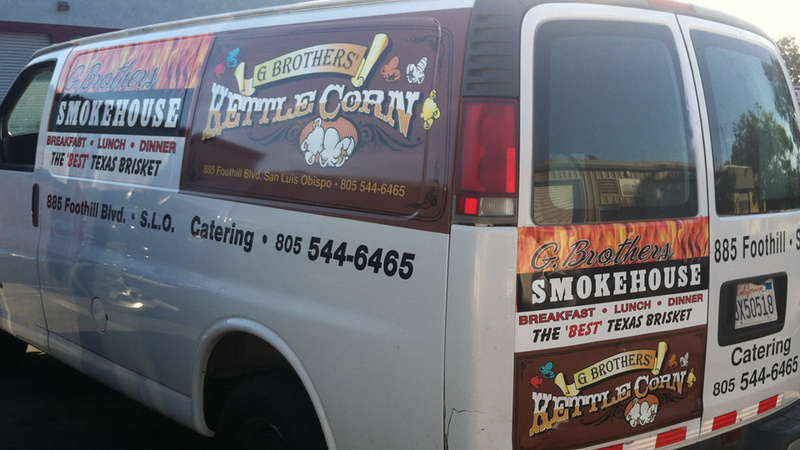 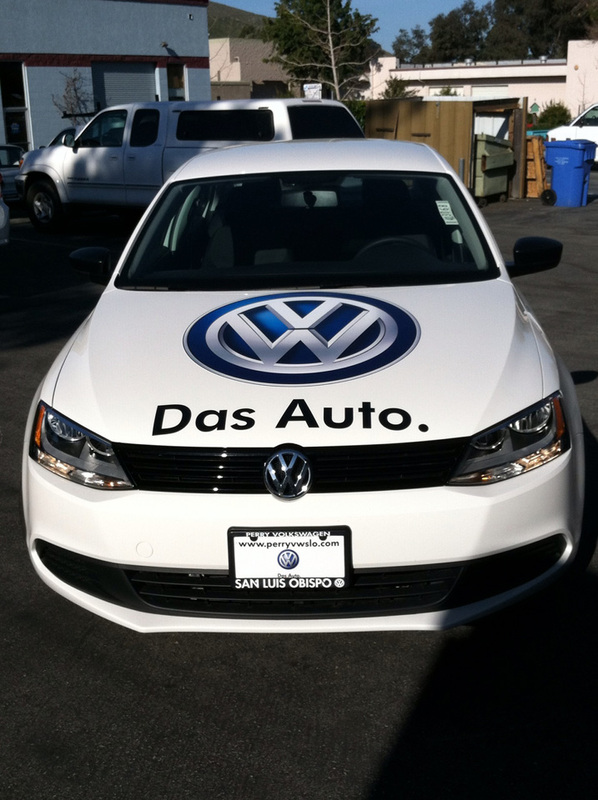 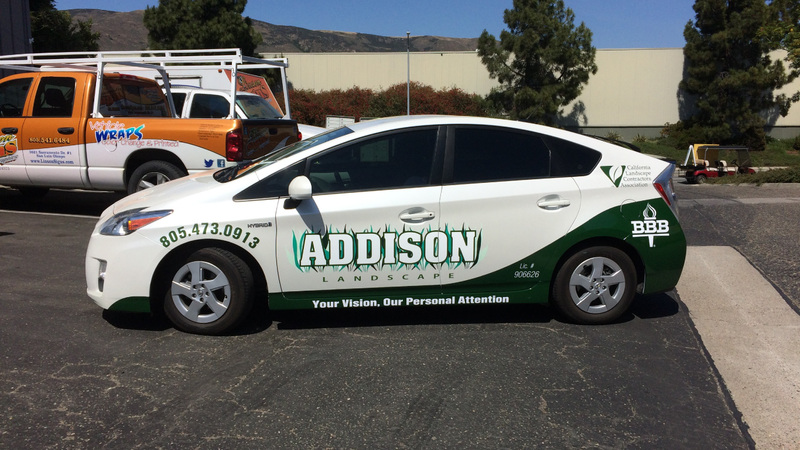 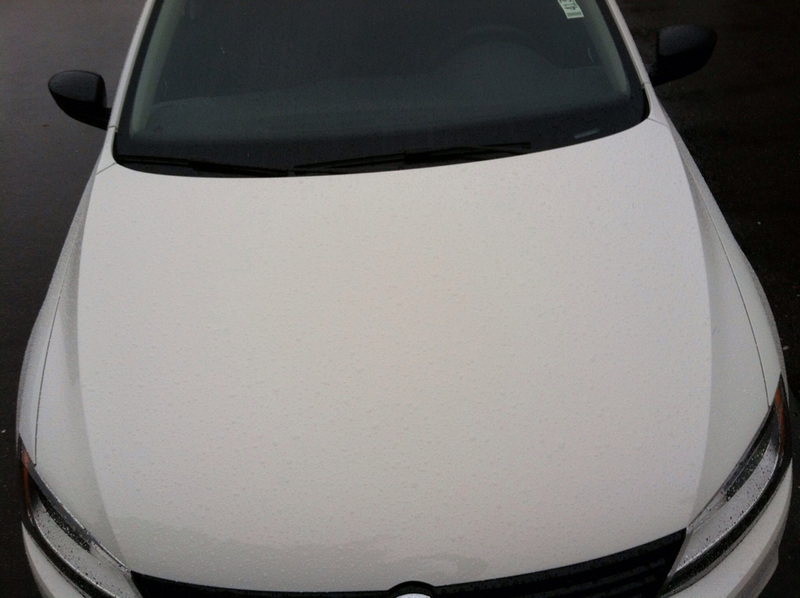 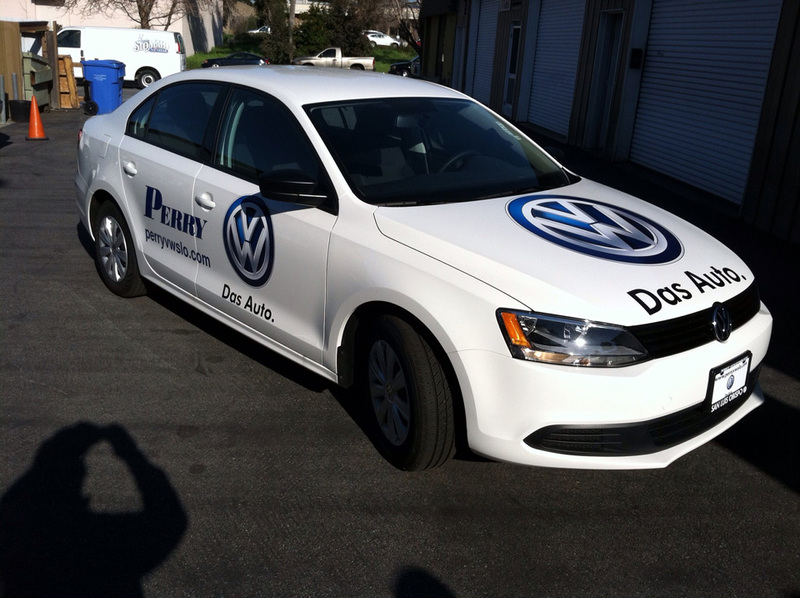 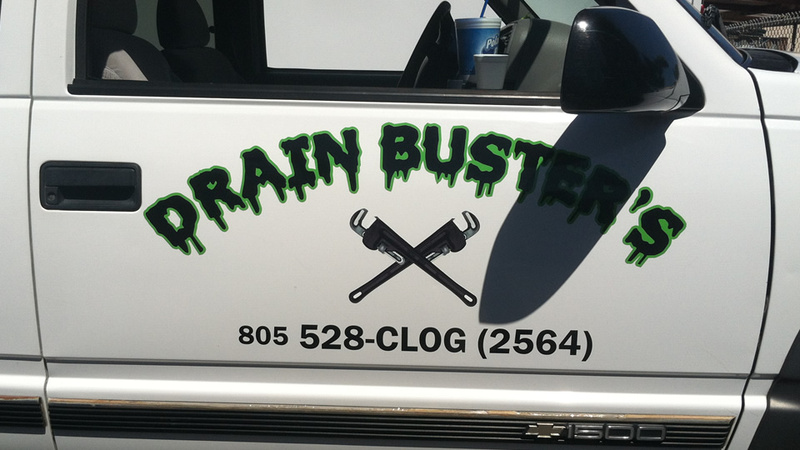 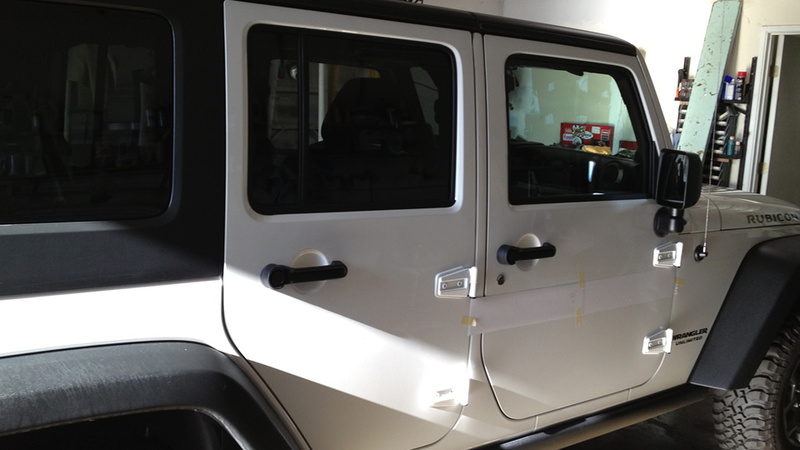 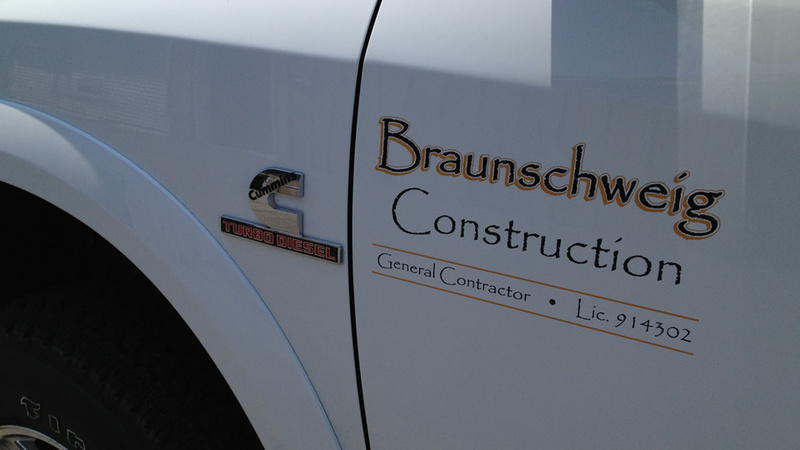 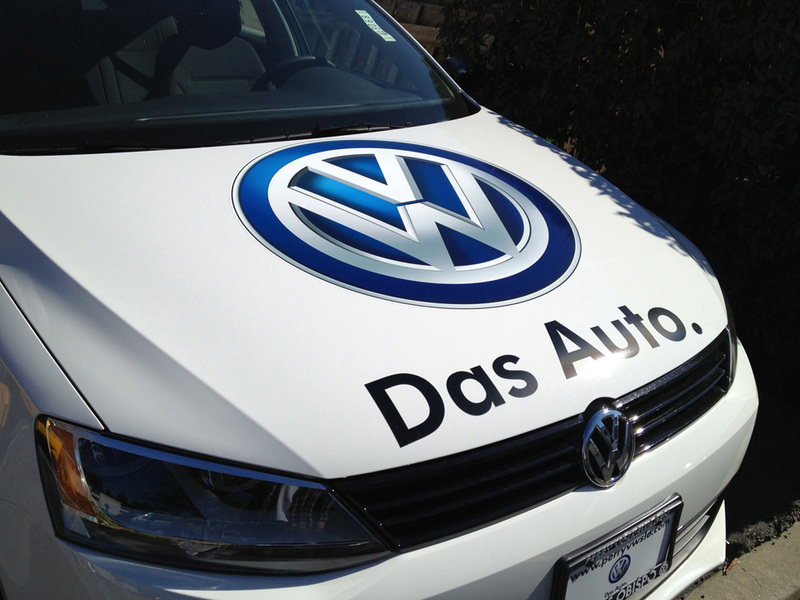 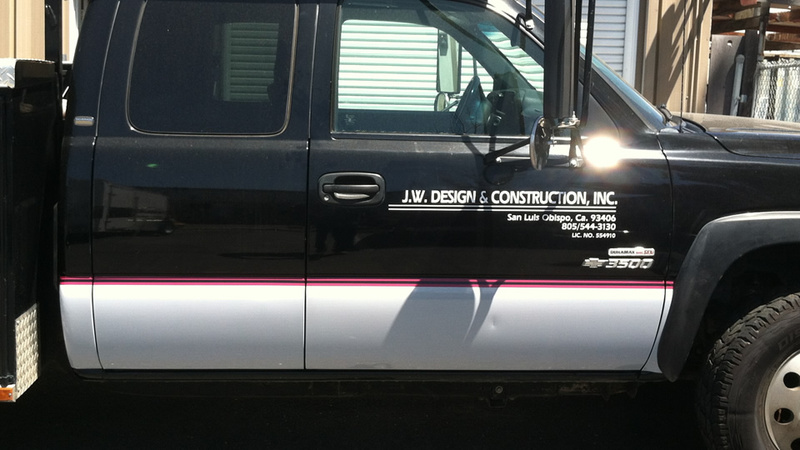 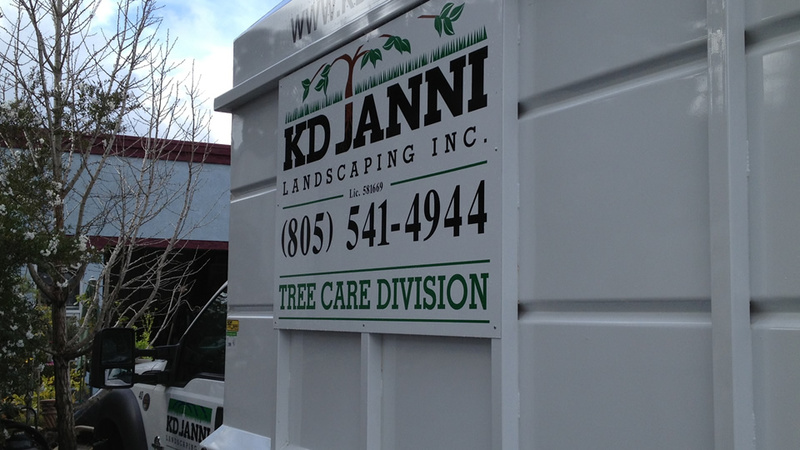 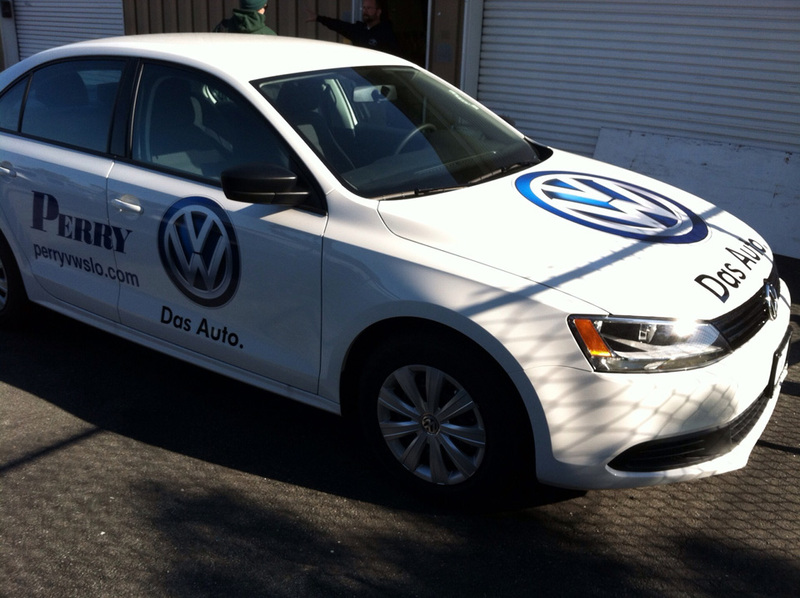 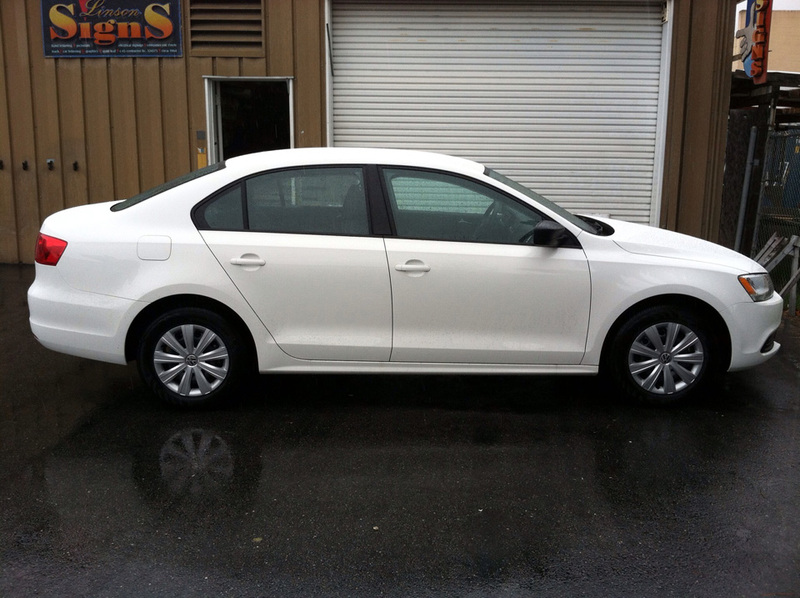 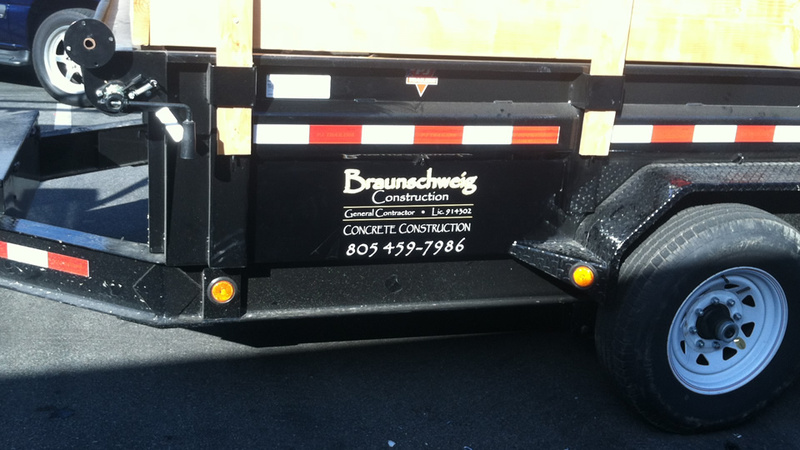 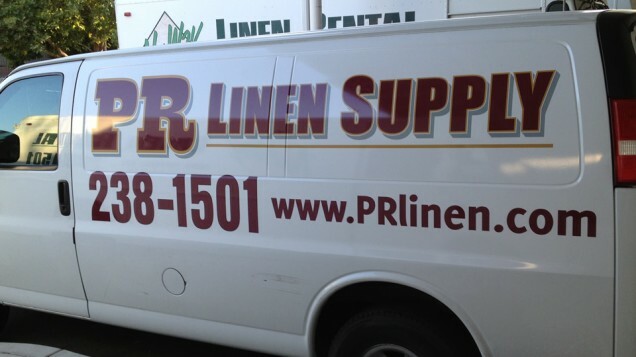 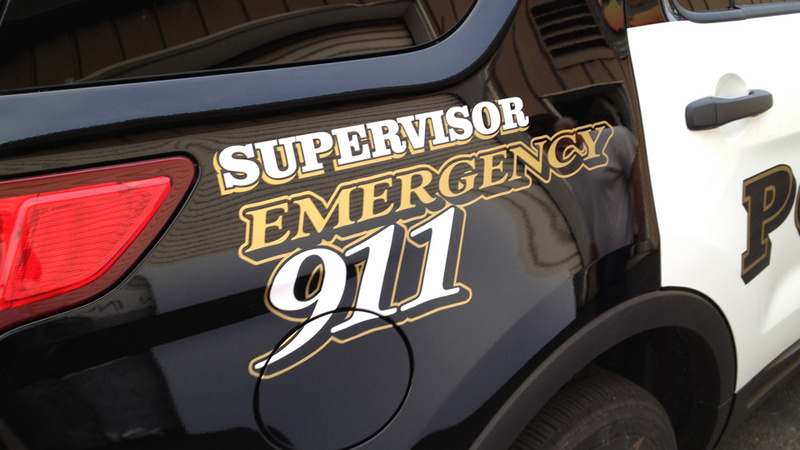 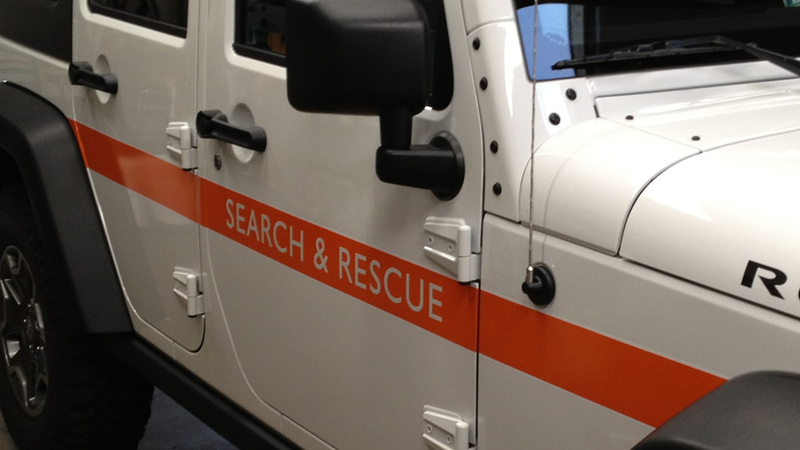 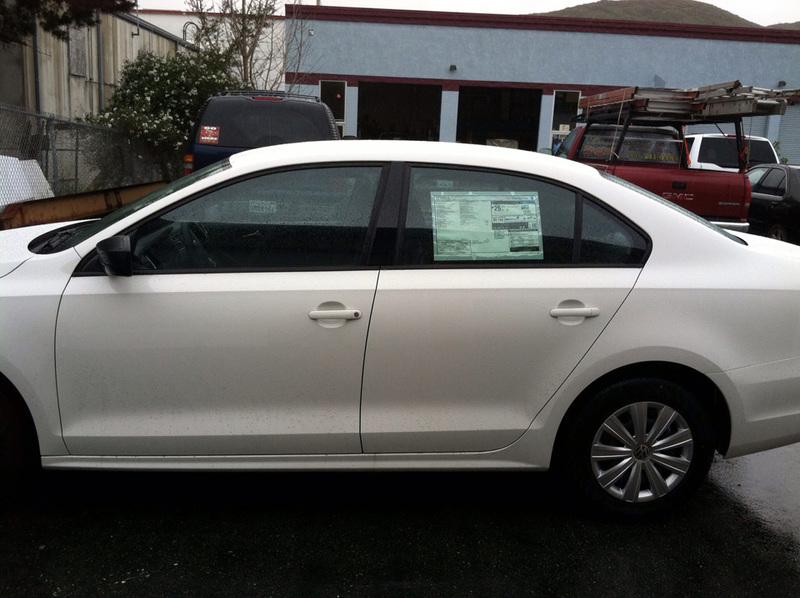 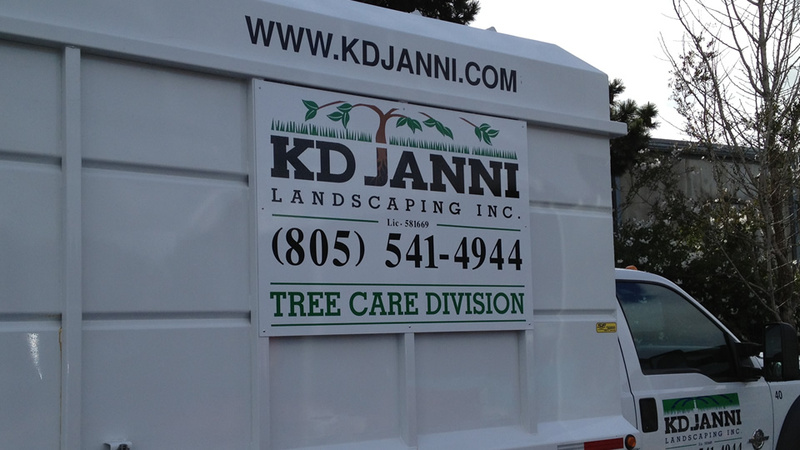 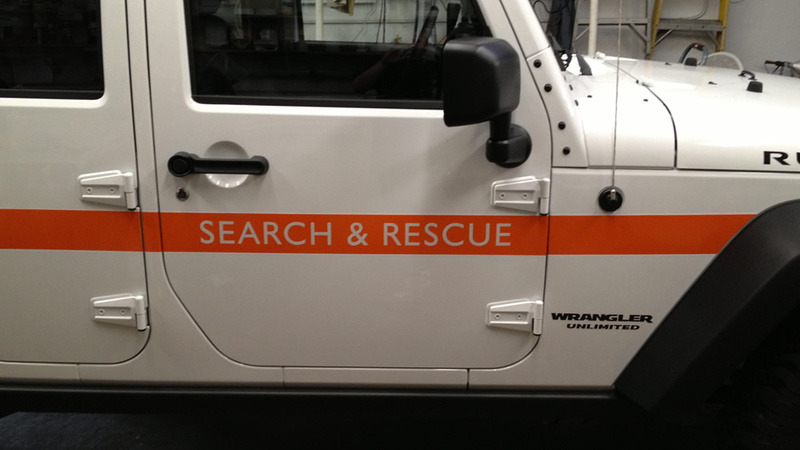 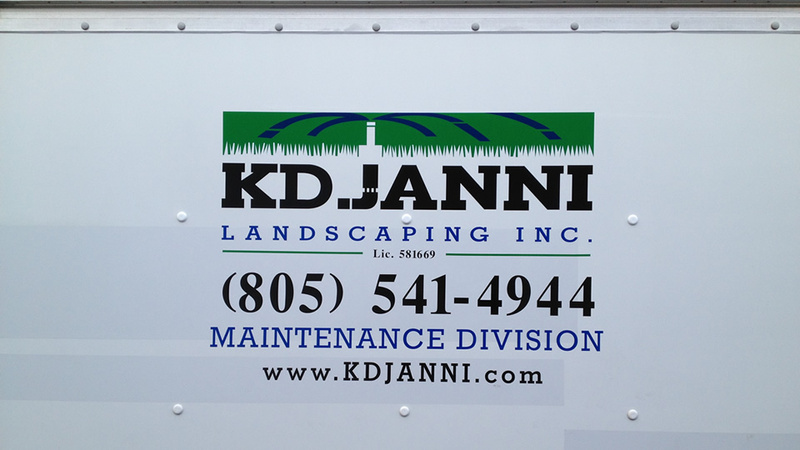 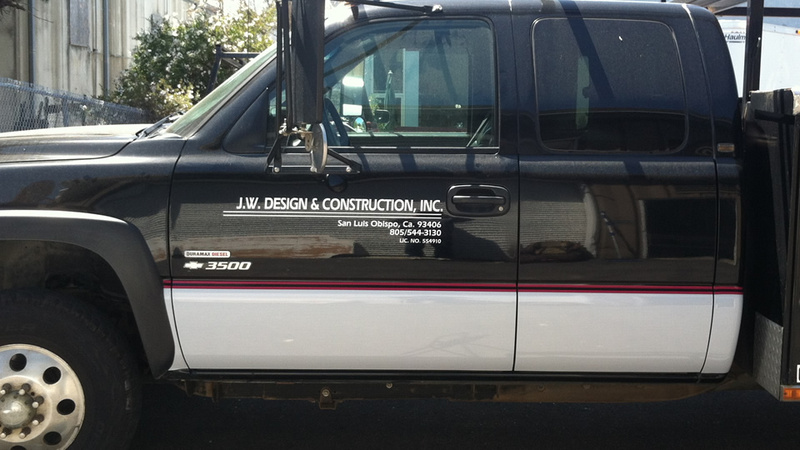 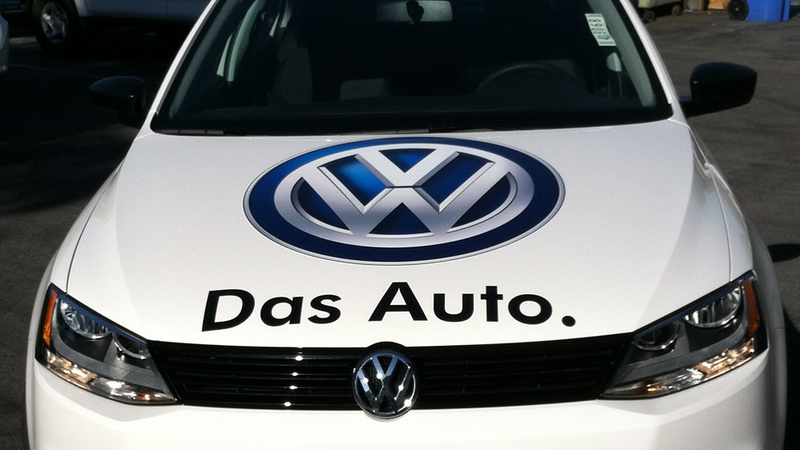 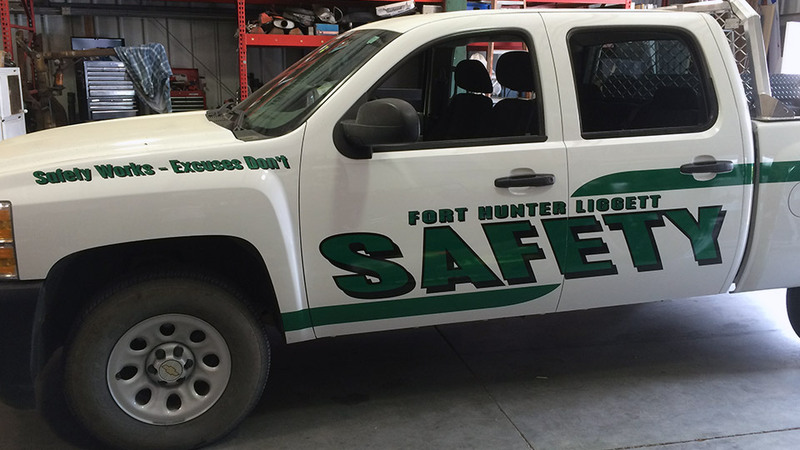 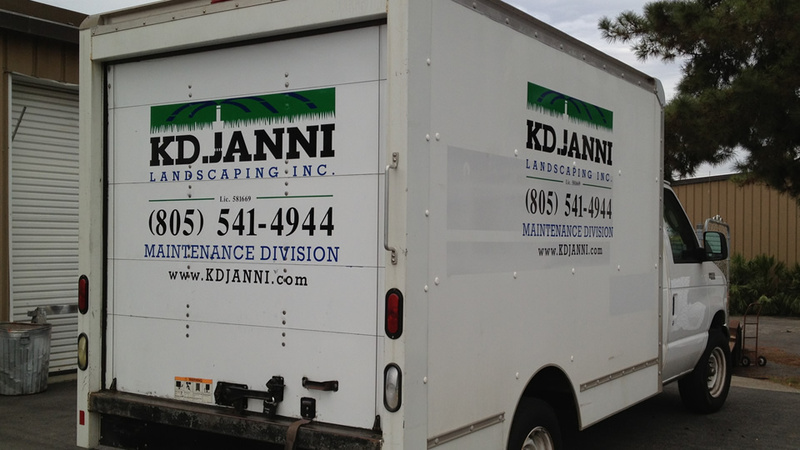 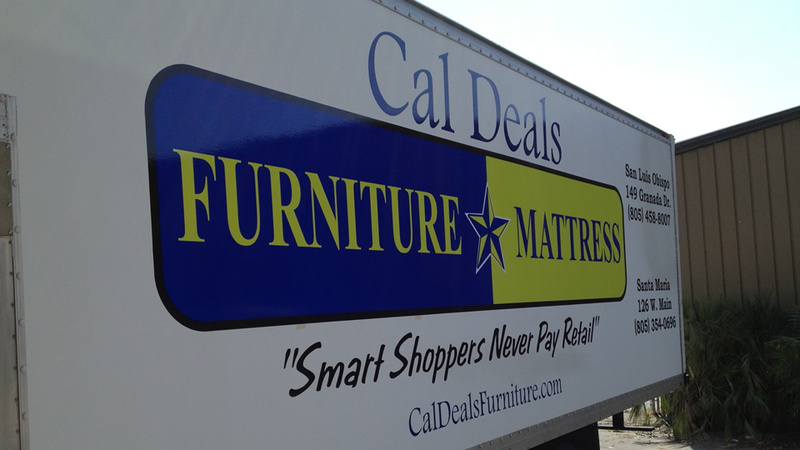 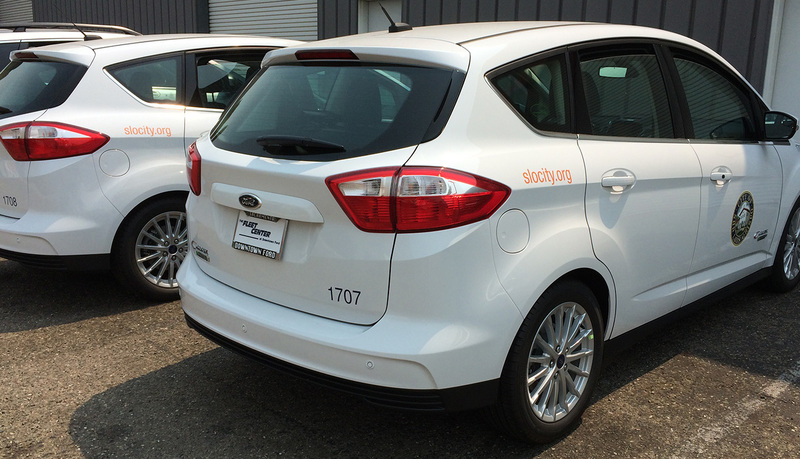 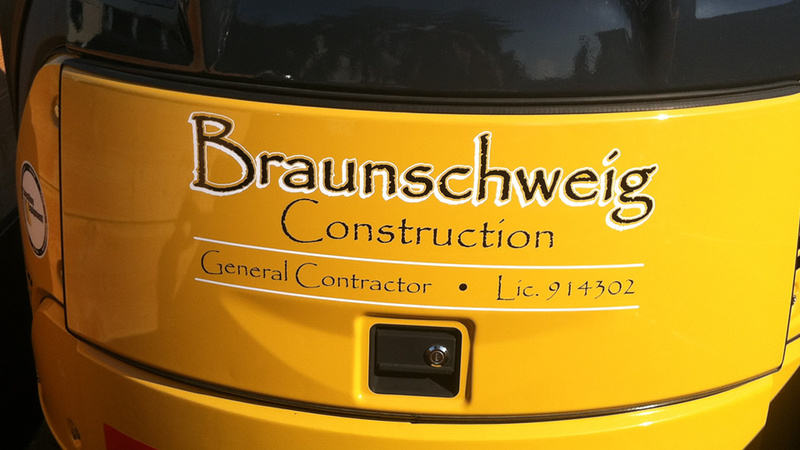 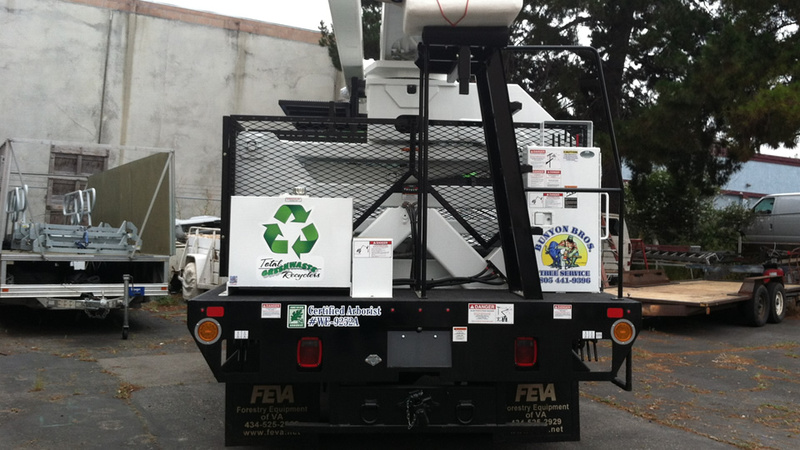 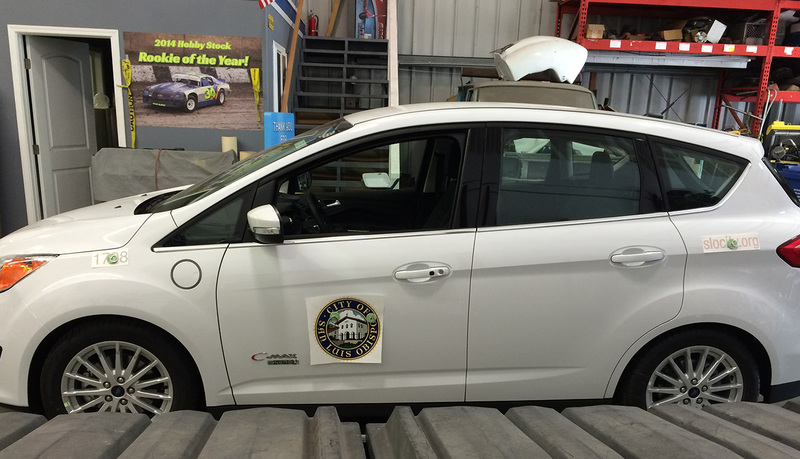 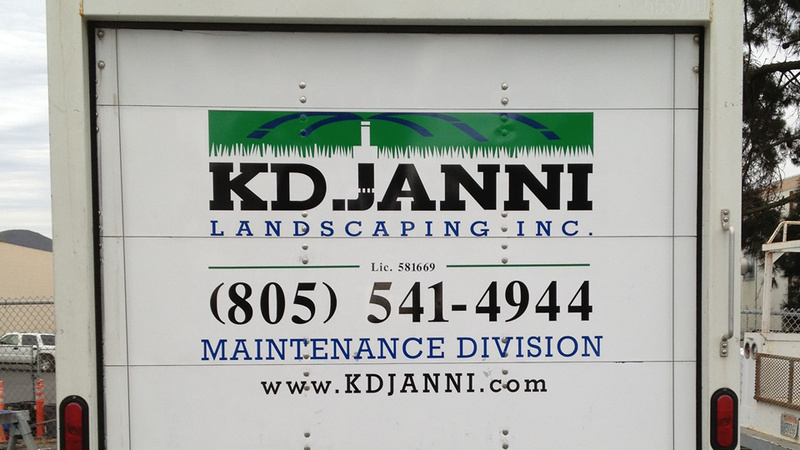 The vehicle lettering is cut from black and white hexis vinyl while the shields are printed on Avery air release vinyl. 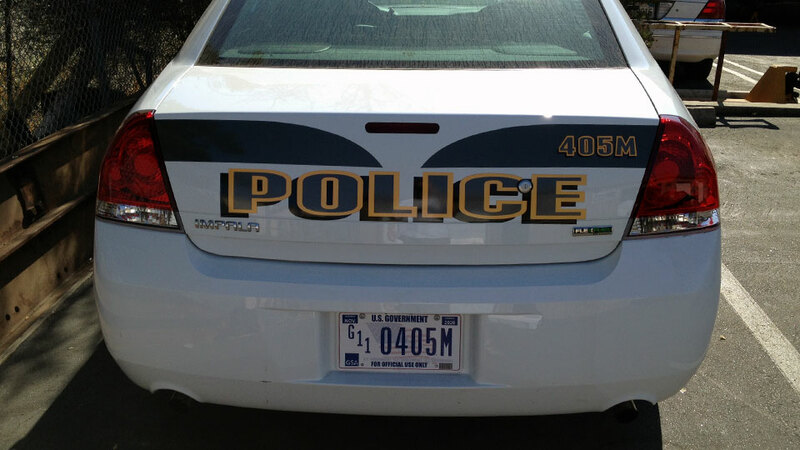 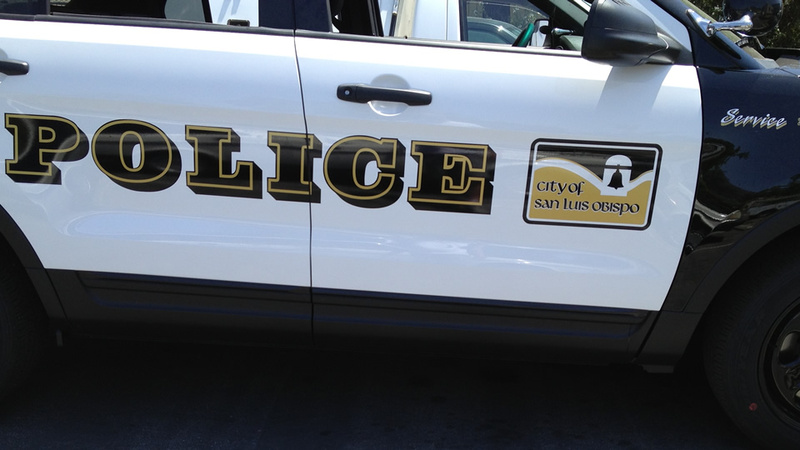 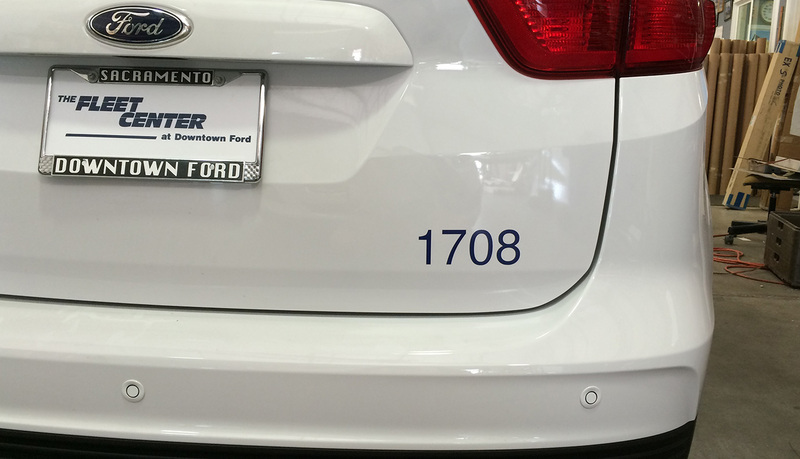 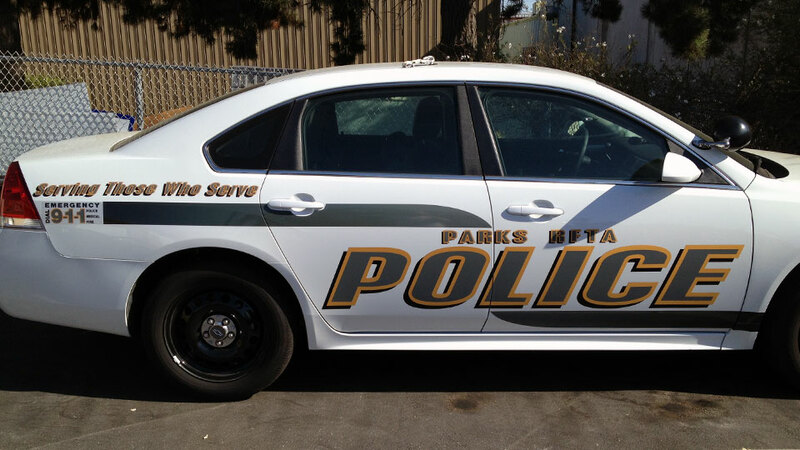 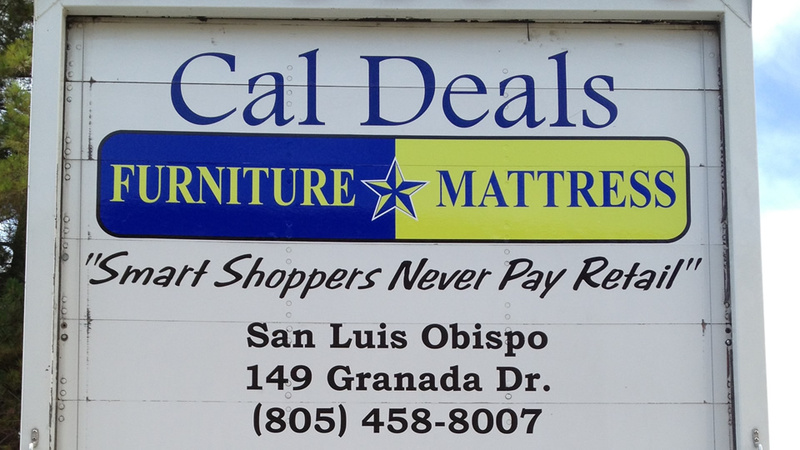 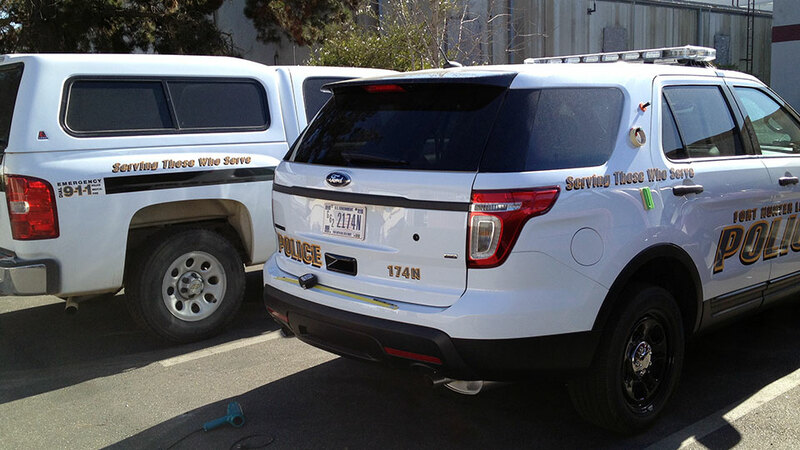 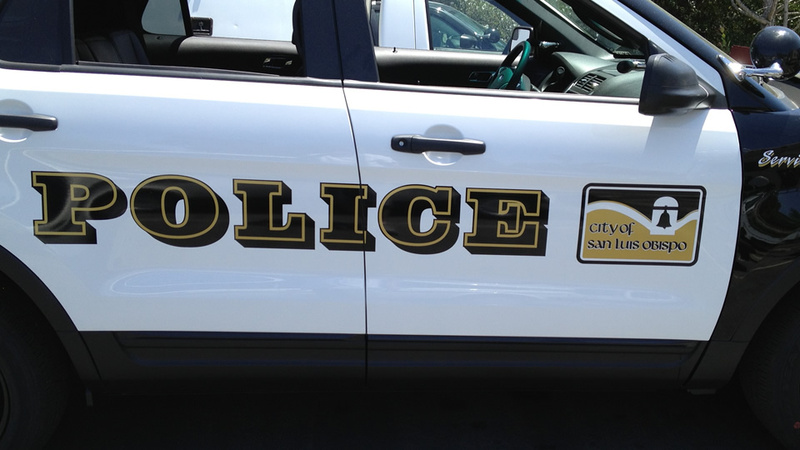 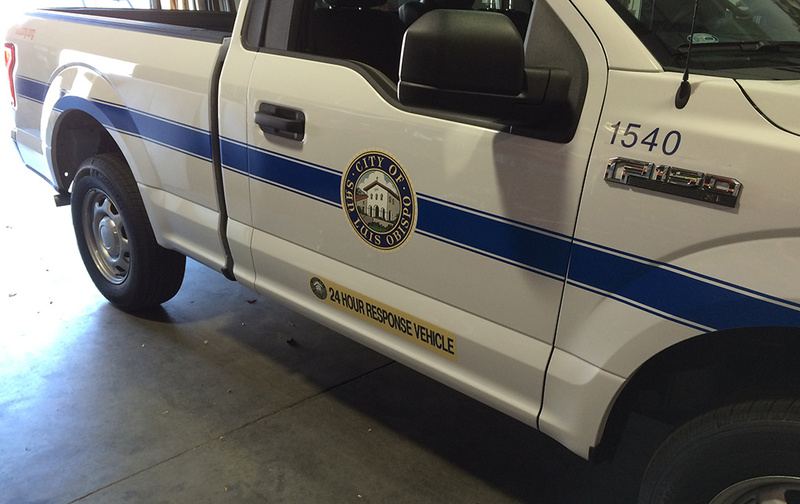 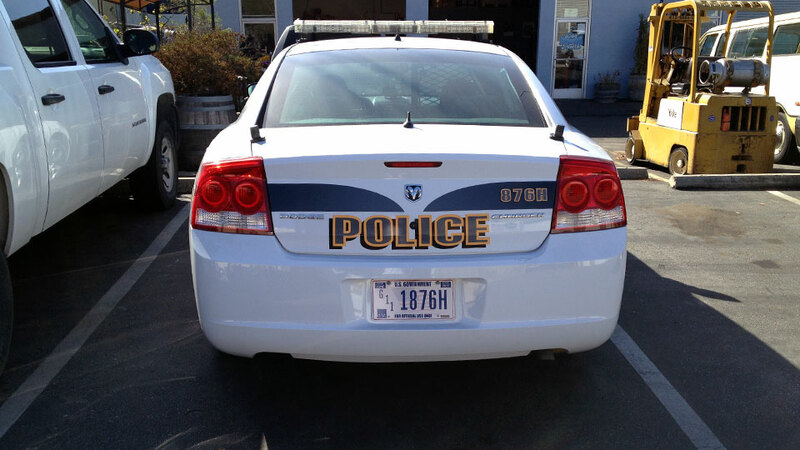 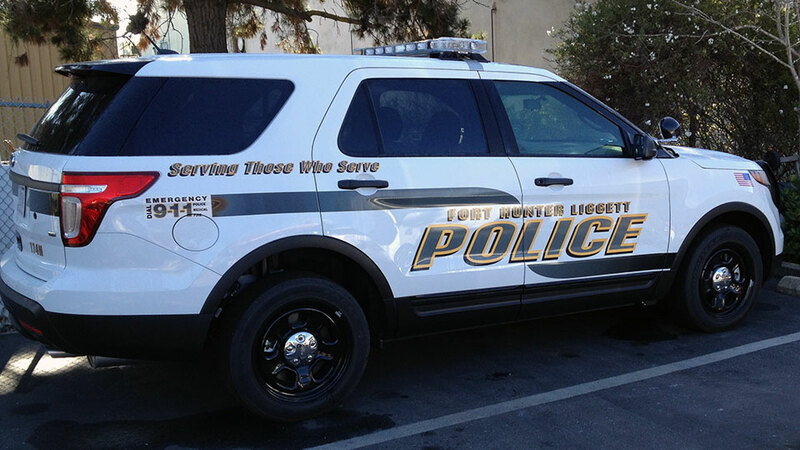 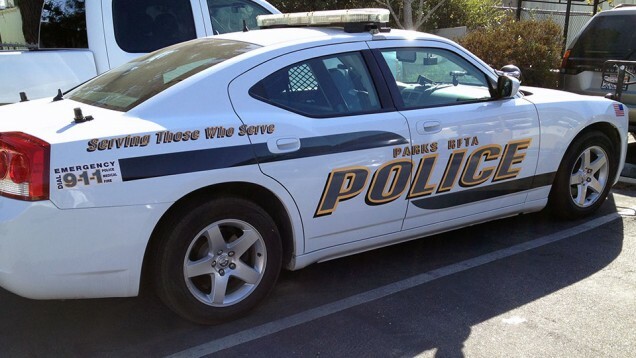 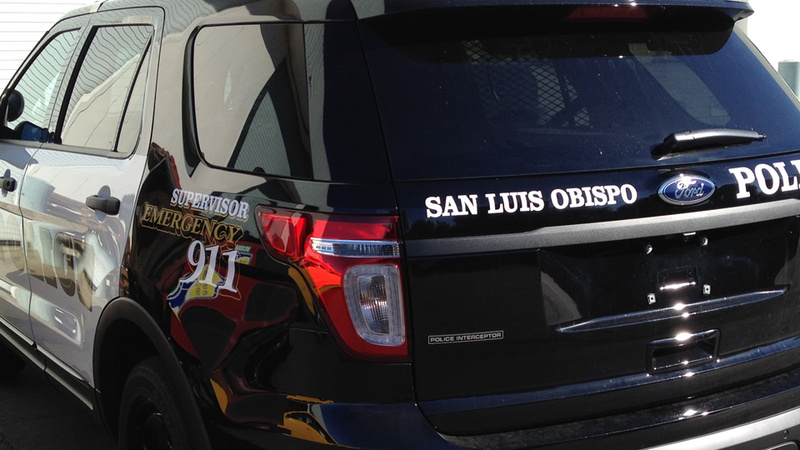 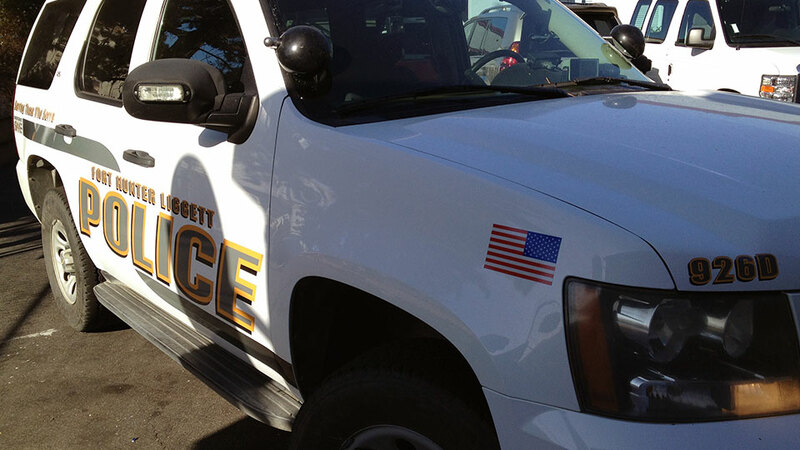 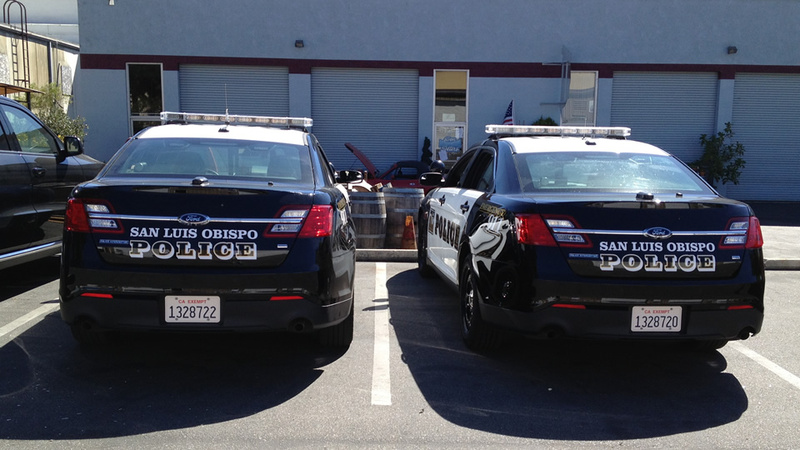 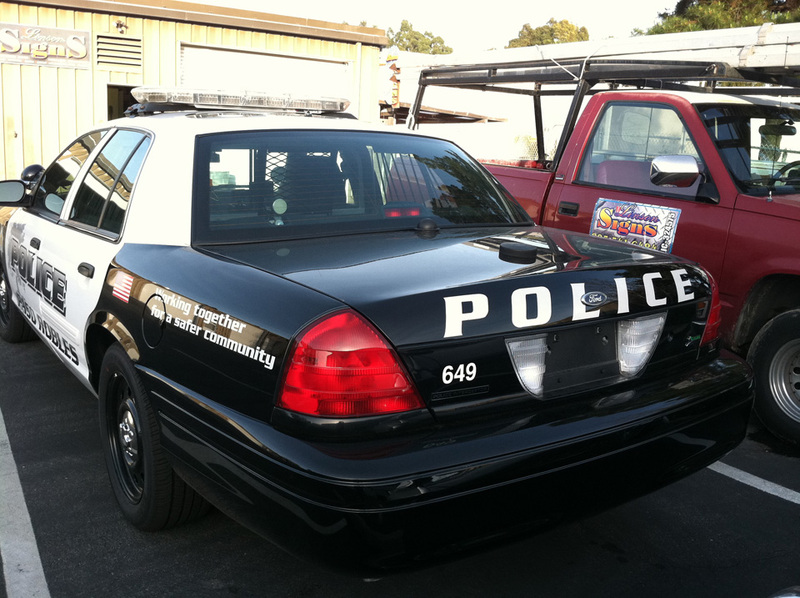 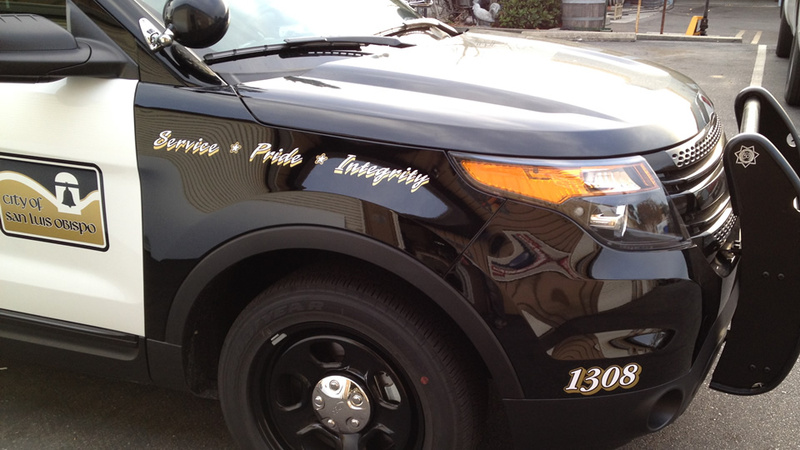 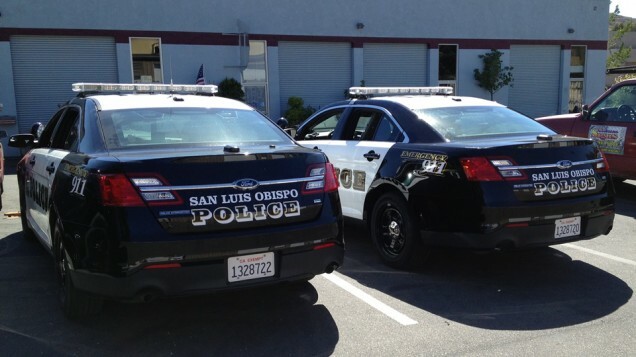 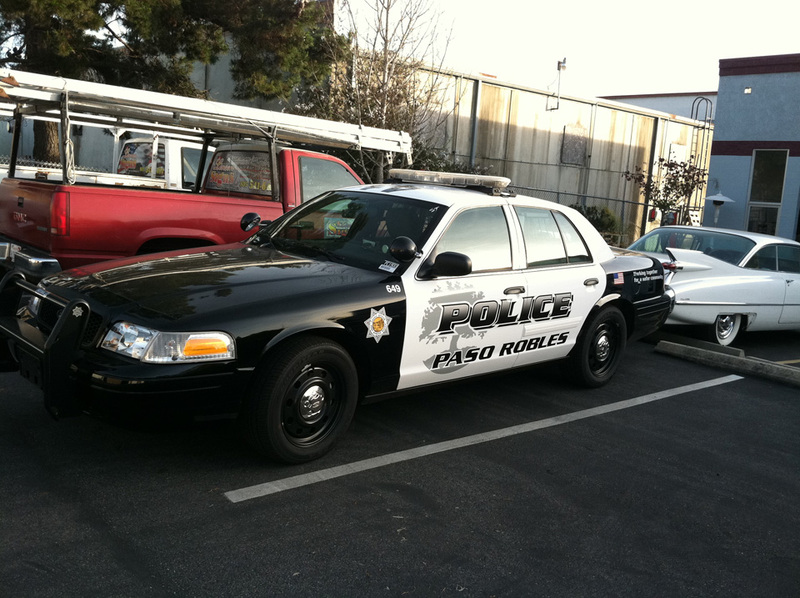 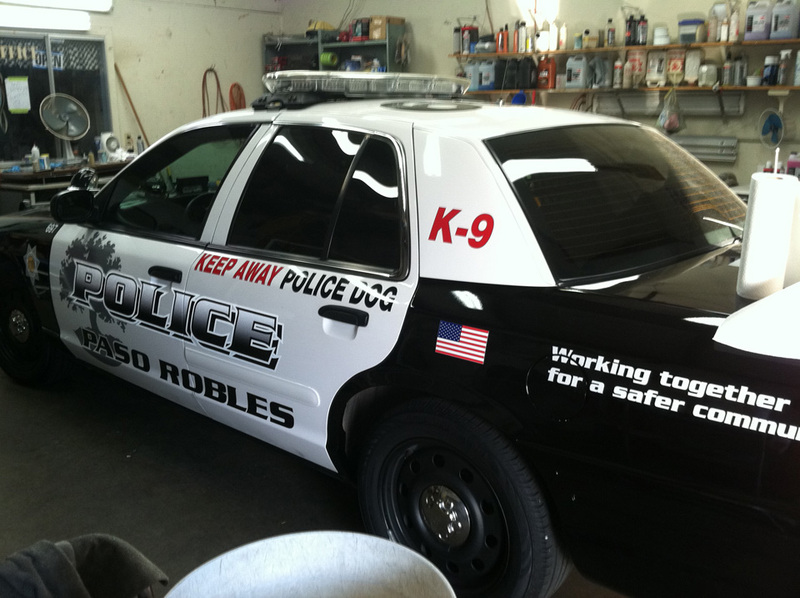 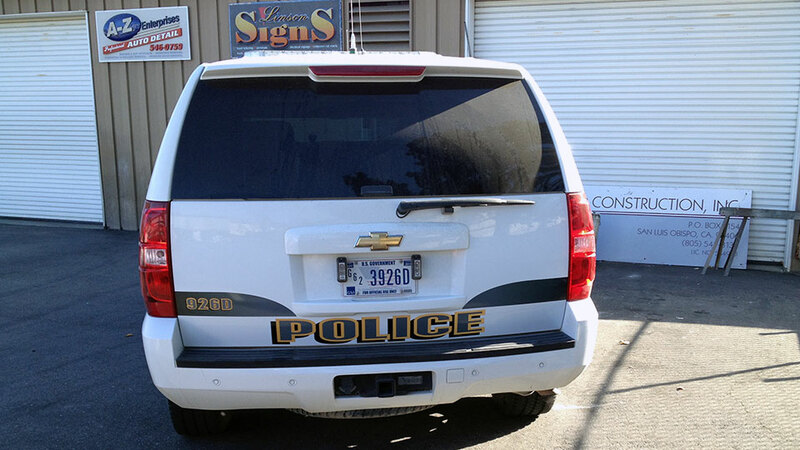 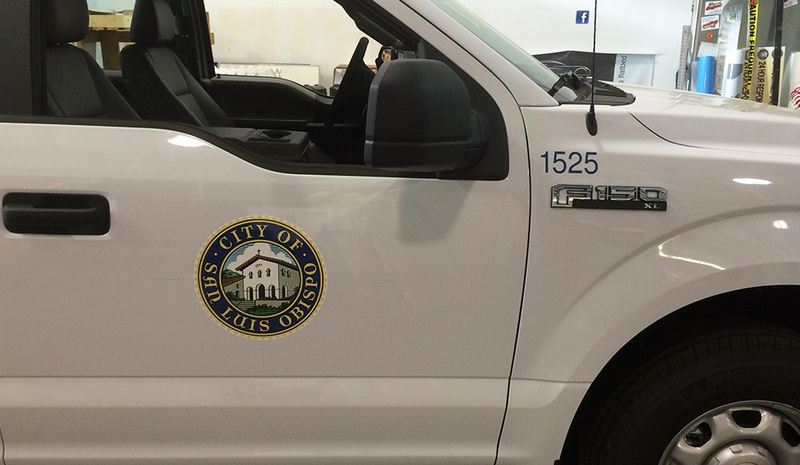 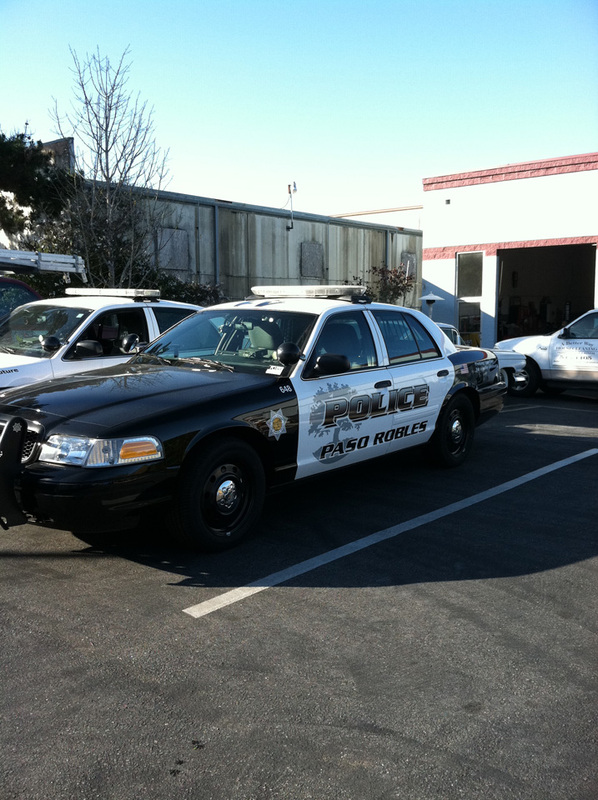 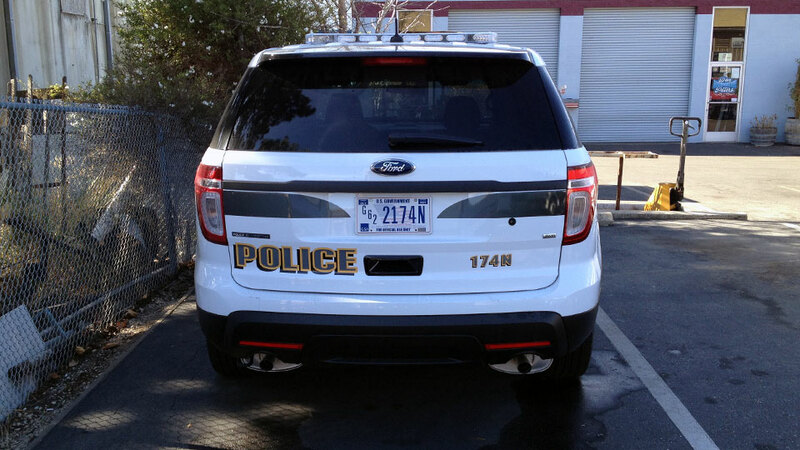 We’ve been doing the Paso Robles Police vehicle lettering for a few years now. 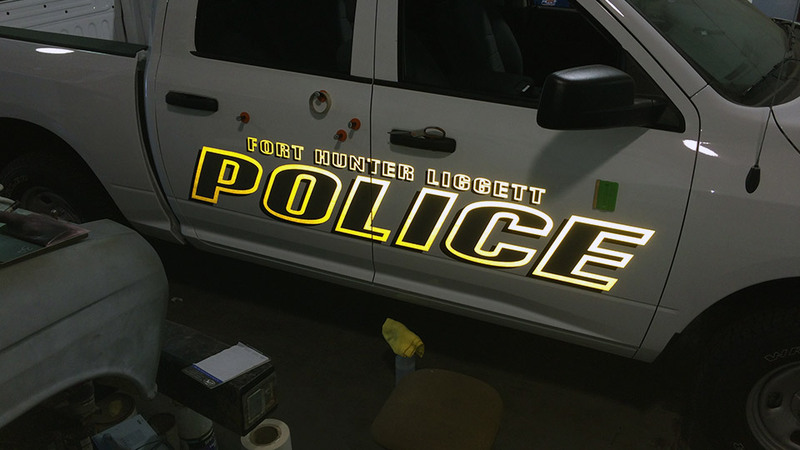 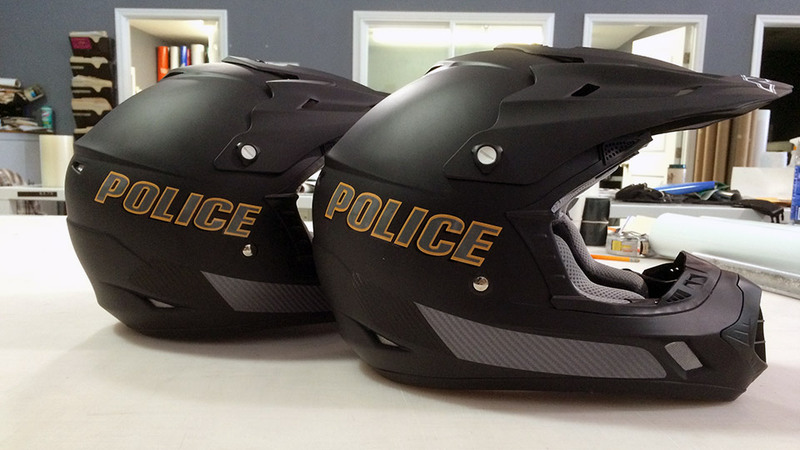 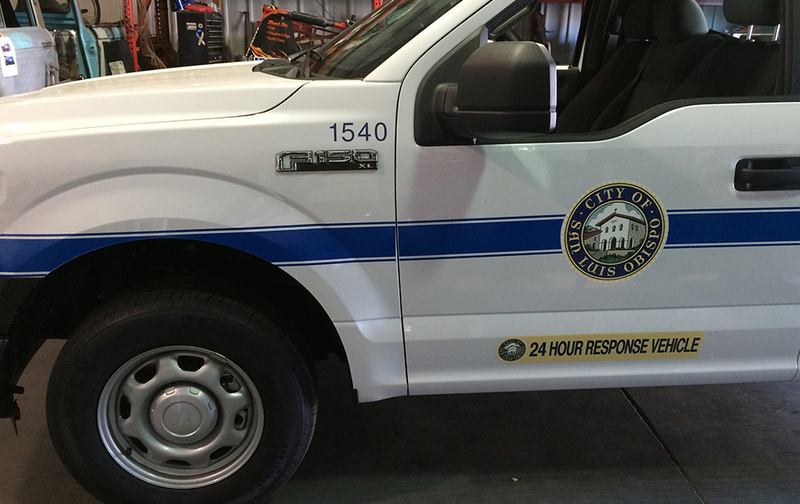 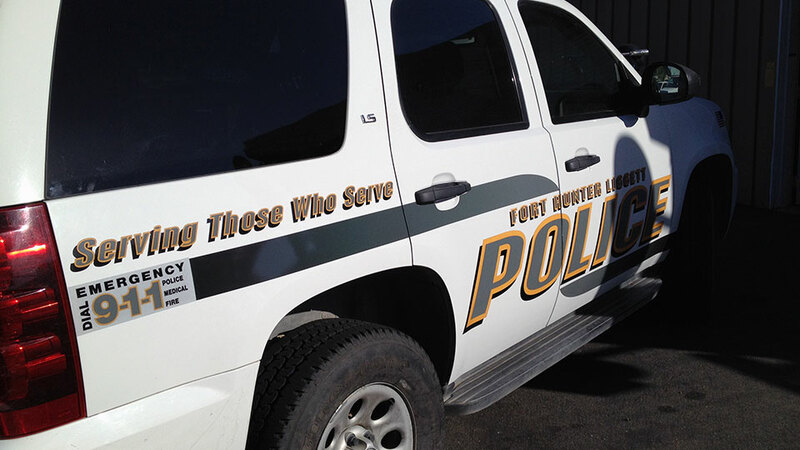 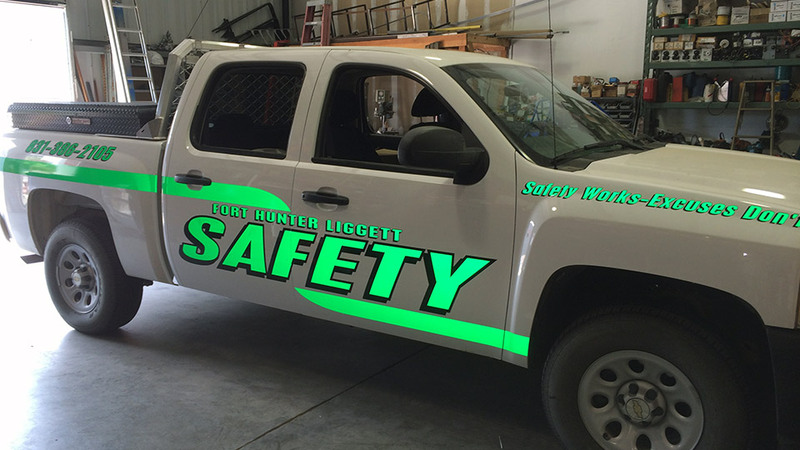 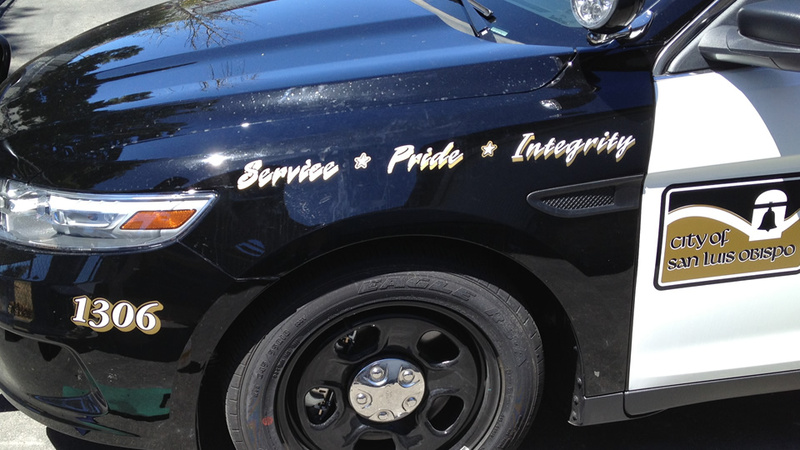 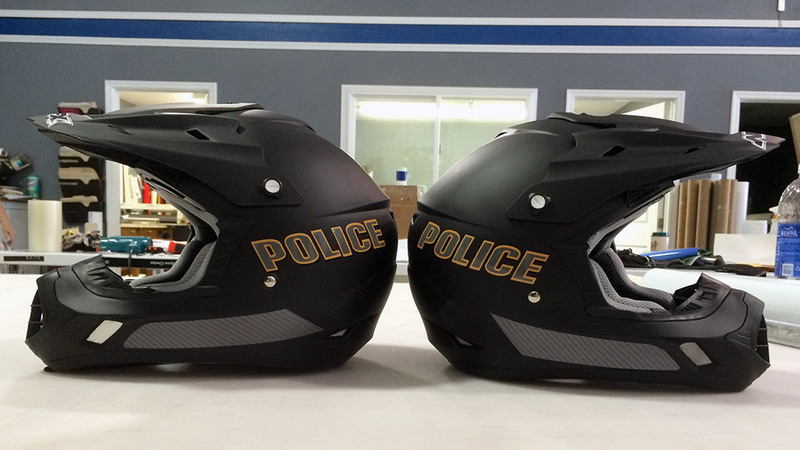 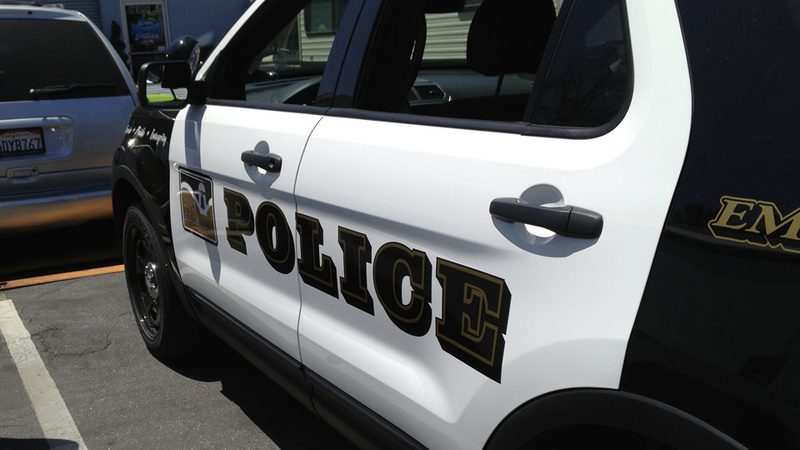 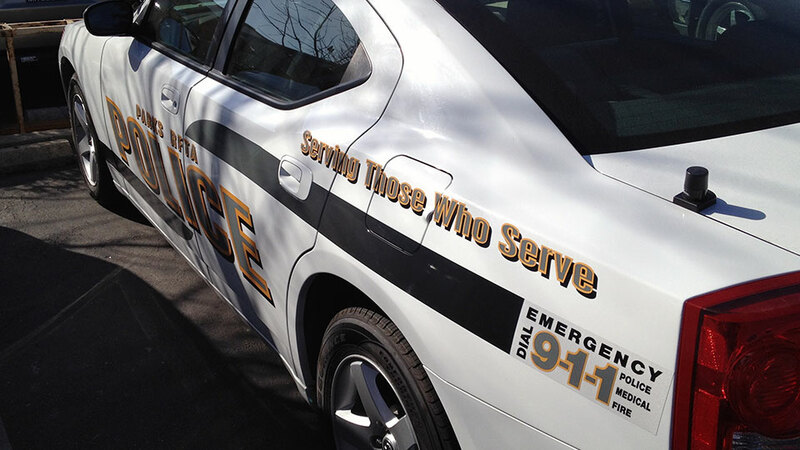 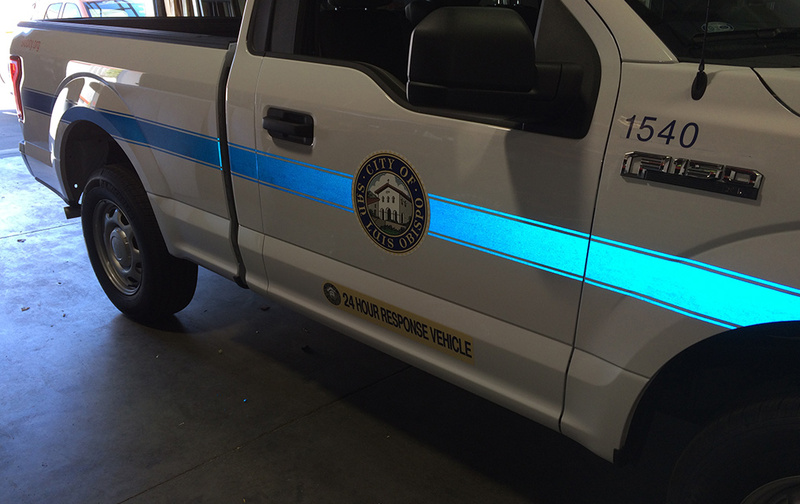 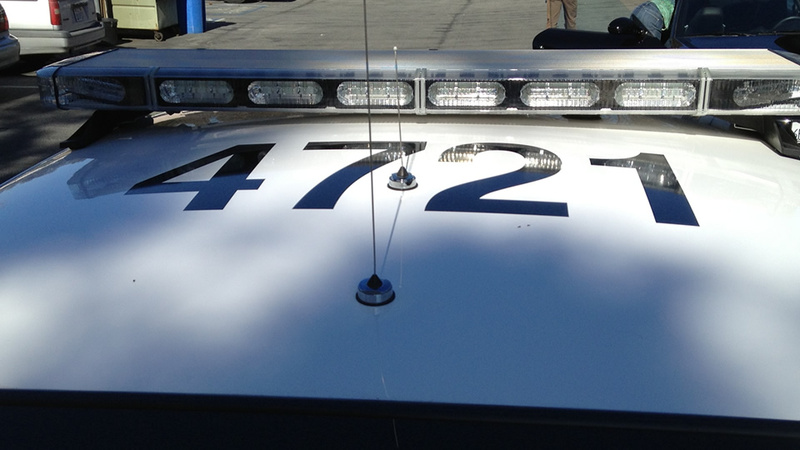 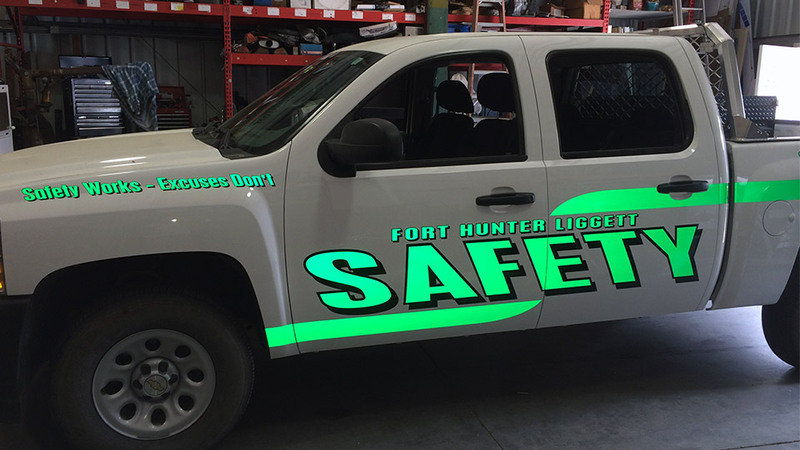 The word POLICE is printed on reflective vinyl while the rest is solid color cut vinyl.